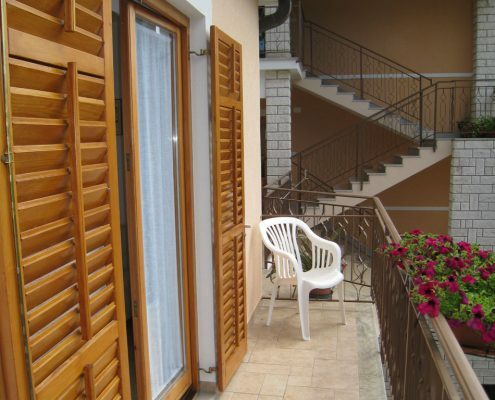 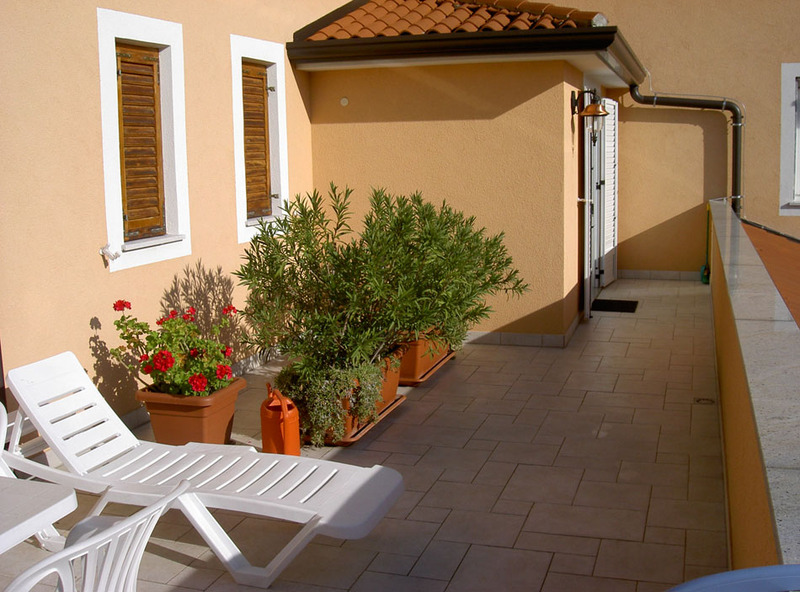 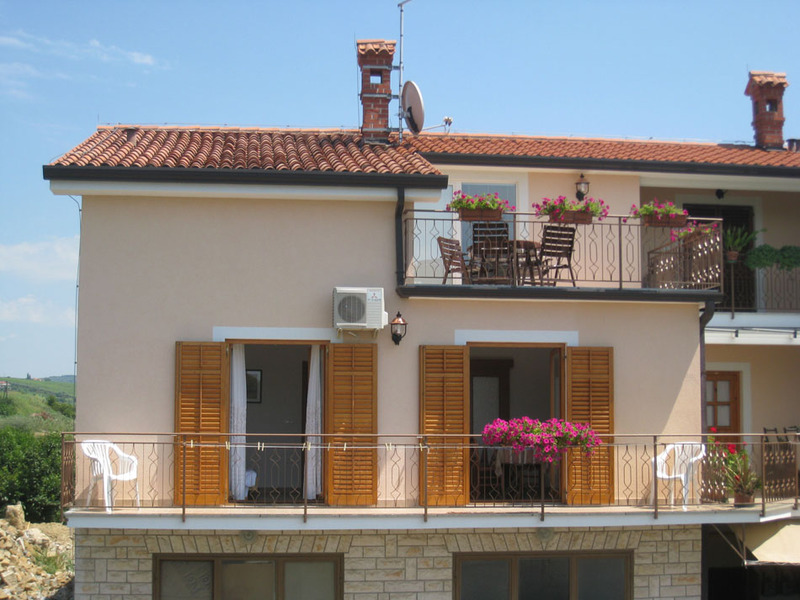 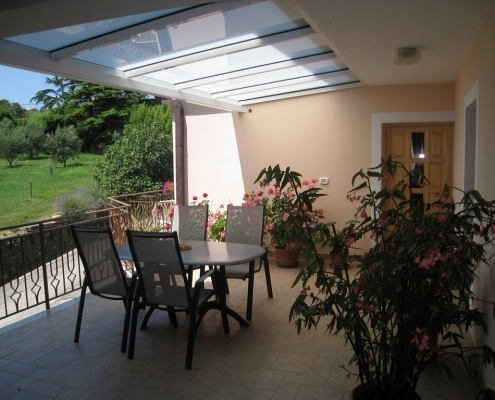 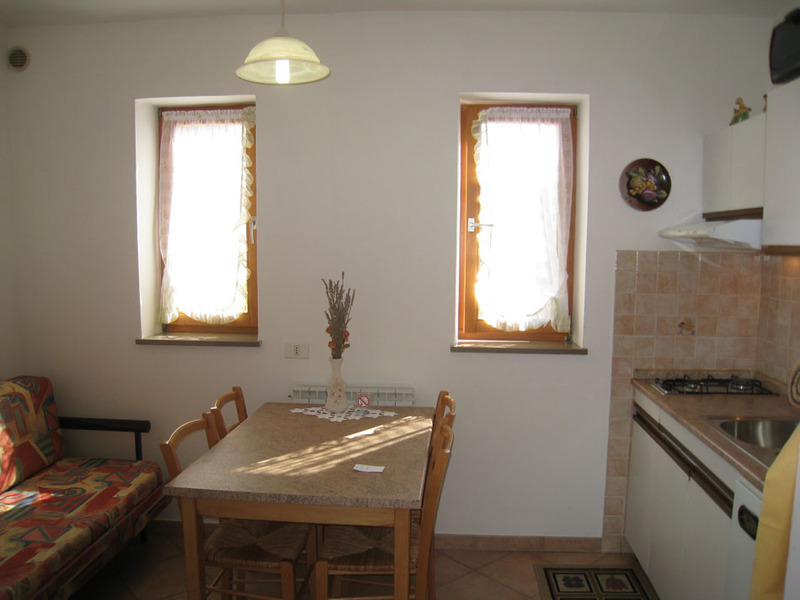 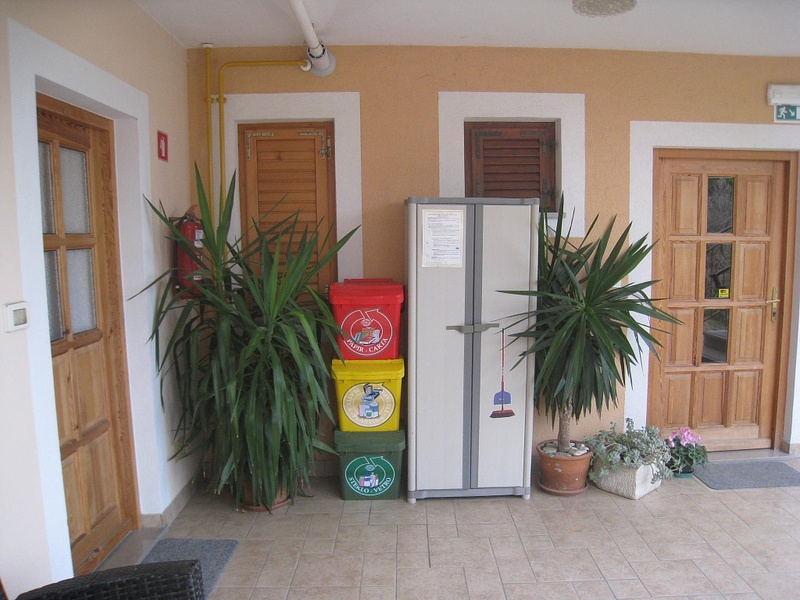 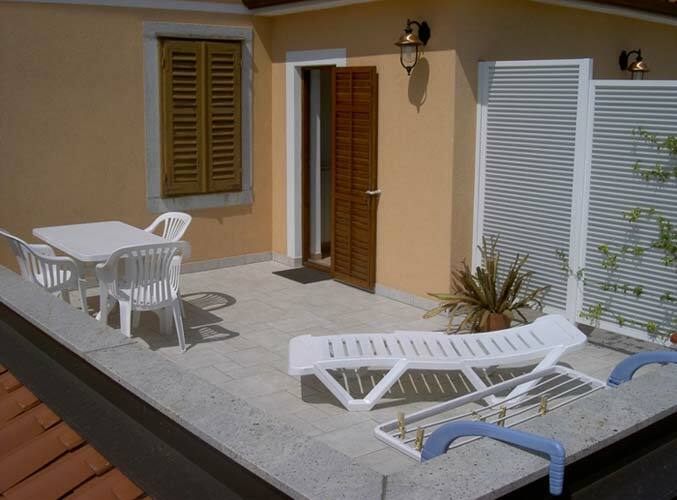 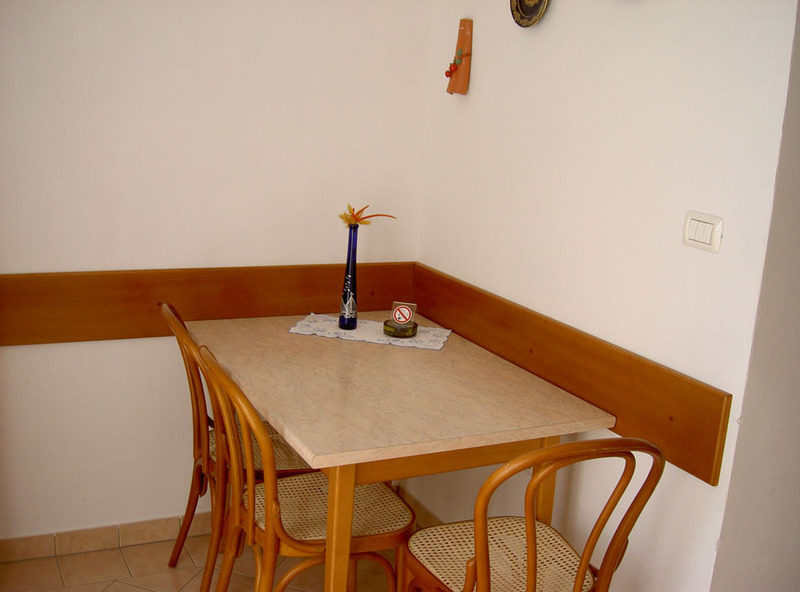 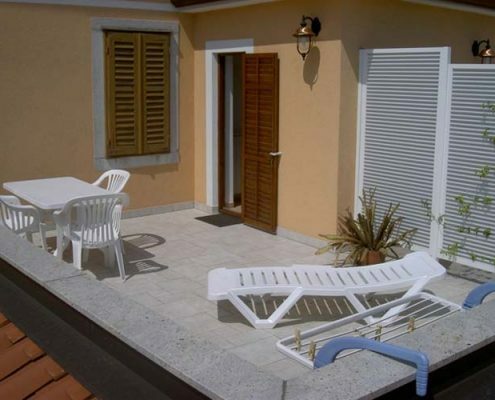 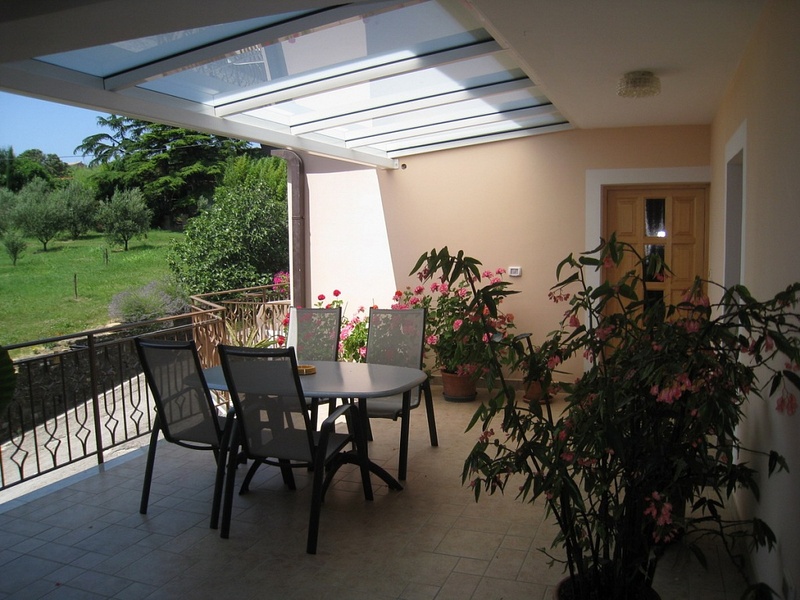 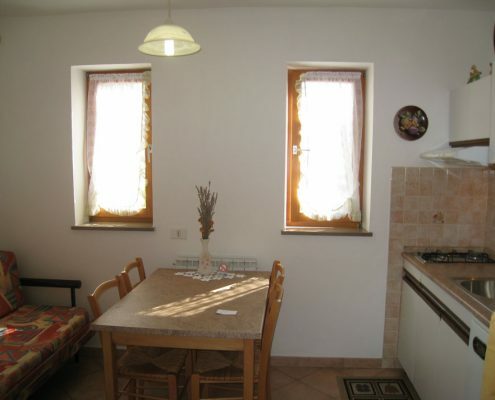 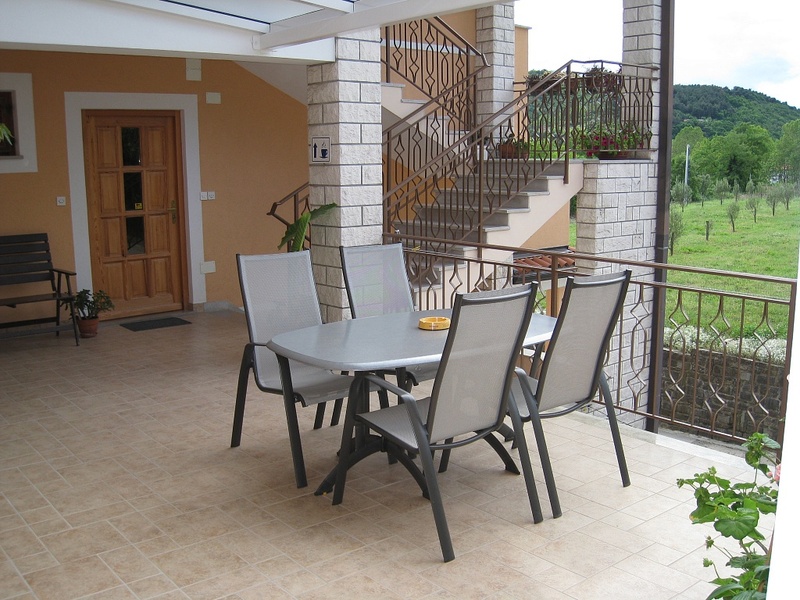 Apartments Strunjan – House Sosič are fully equipped, most of them have a terrace or a balcony, where you can even sunbath or hide from the sun’s raysunder an umbrella. 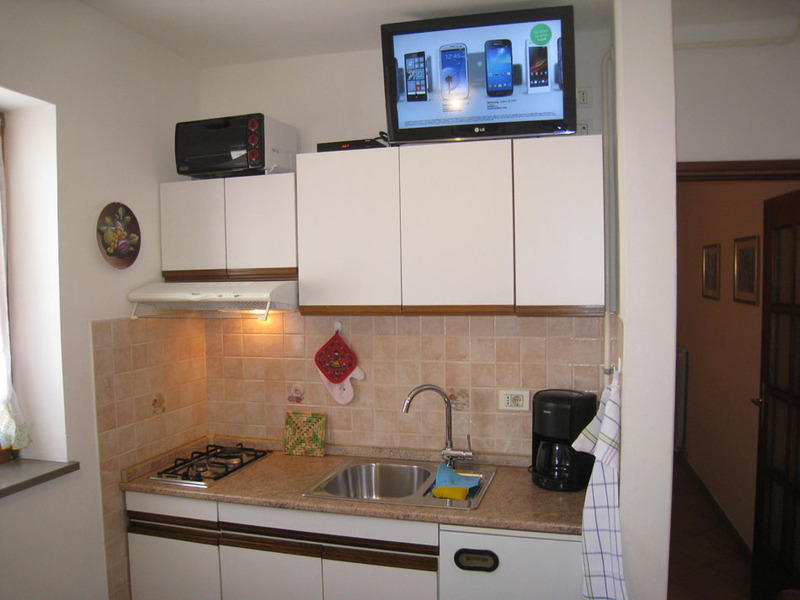 The kitchen is fully equipped for the preparation and serving of food and drinks. 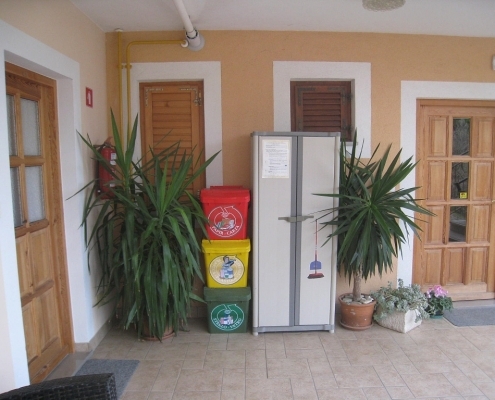 If you do not feel like cocking, our guesthouse is offering you delicious home-made meals. 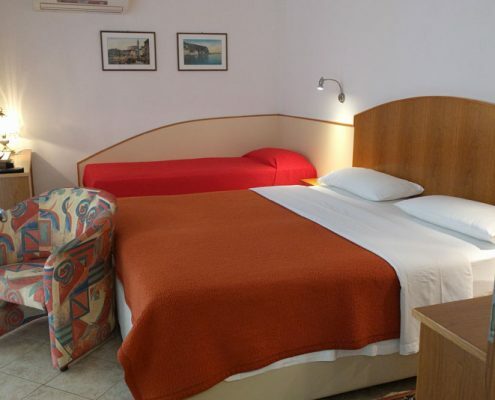 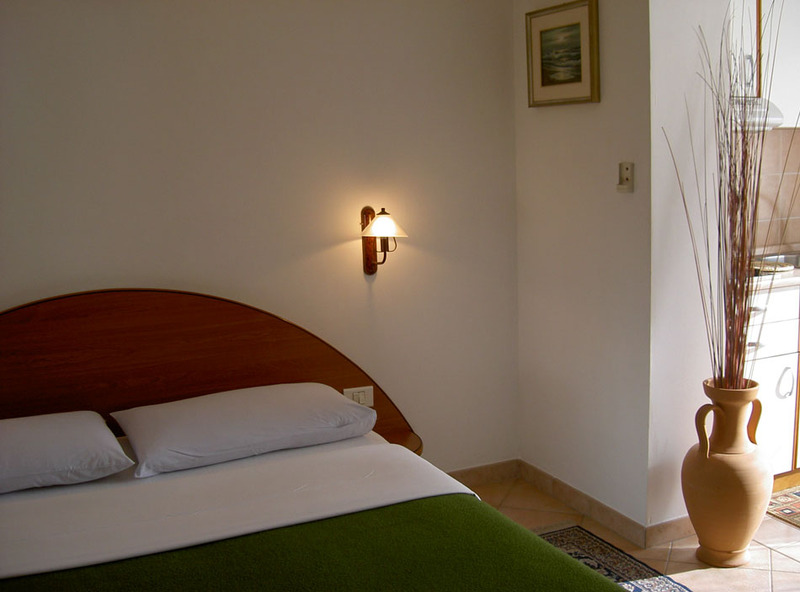 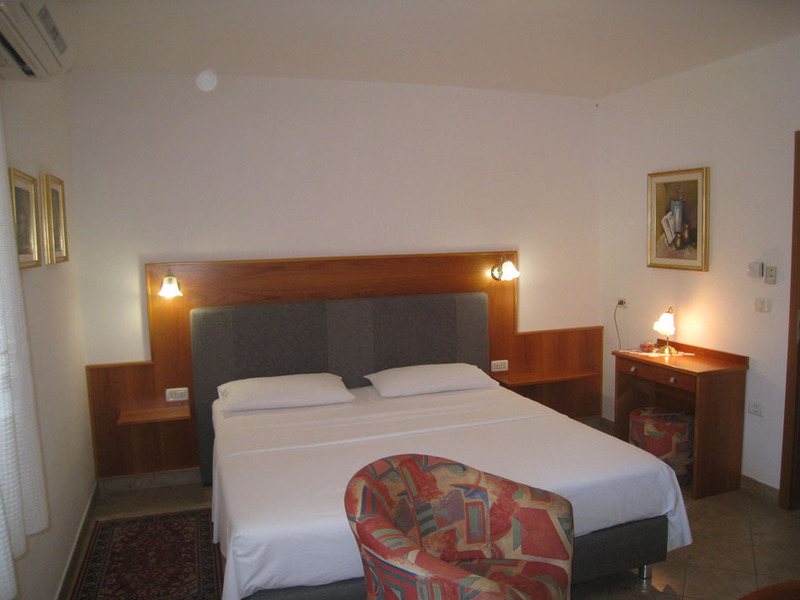 With us you will find everything you need for a pleasant holiday. 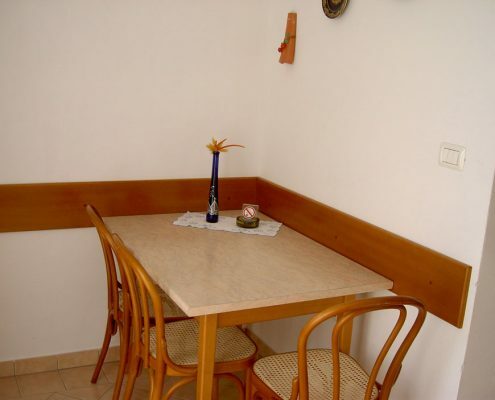 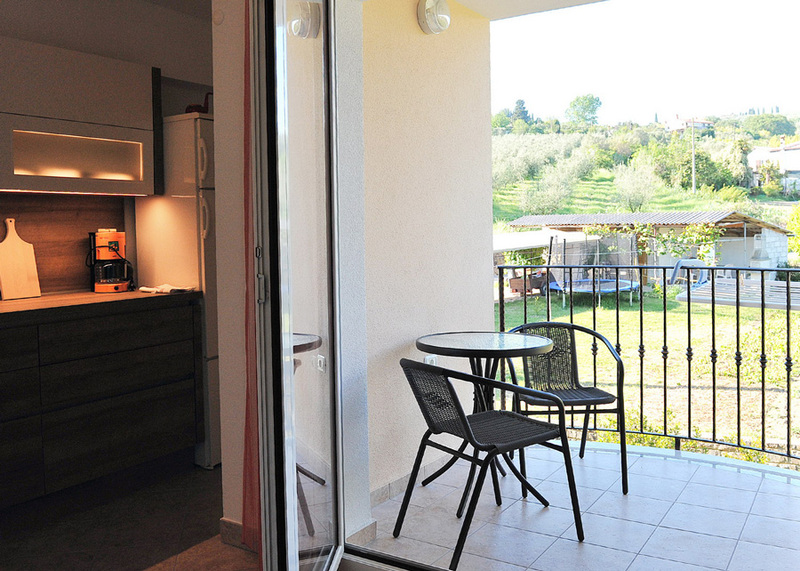 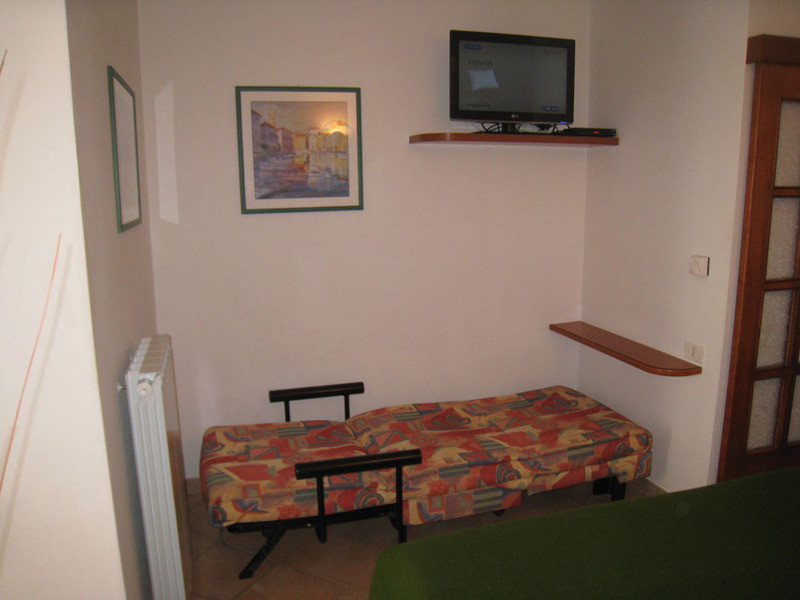 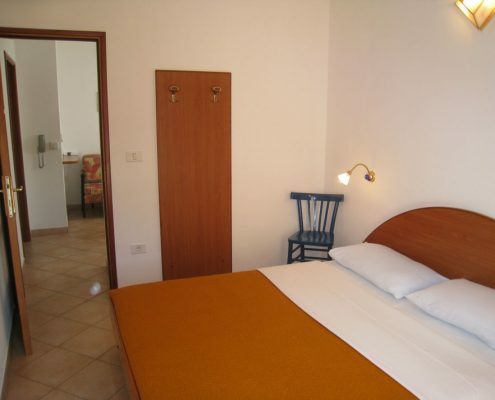 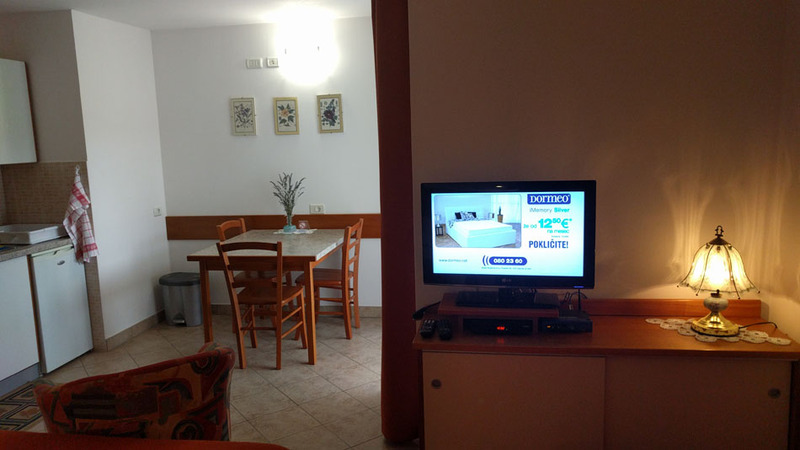 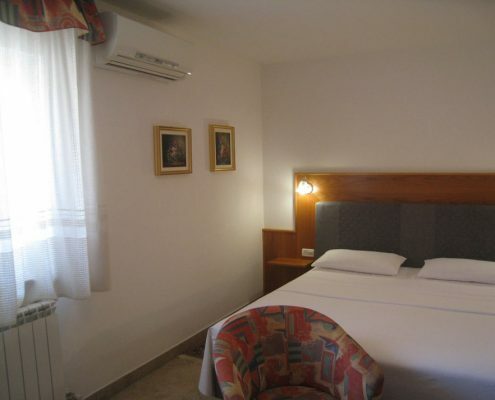 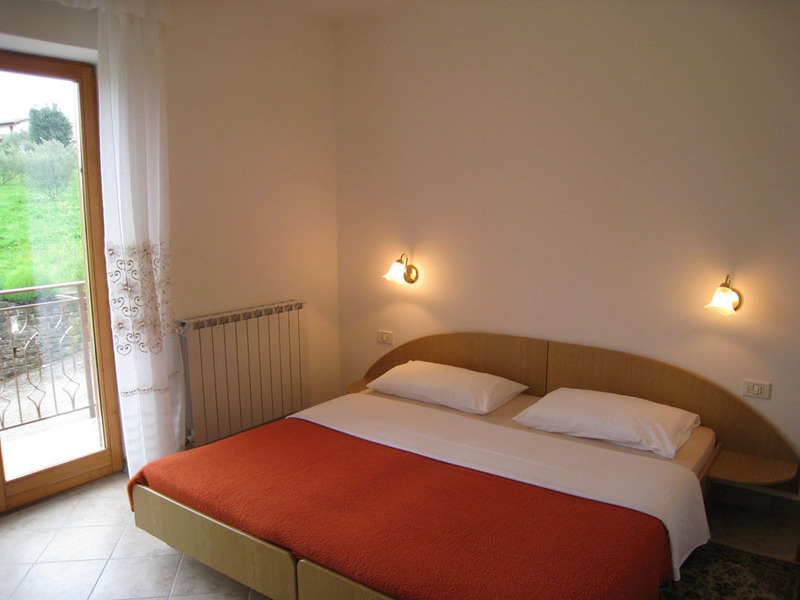 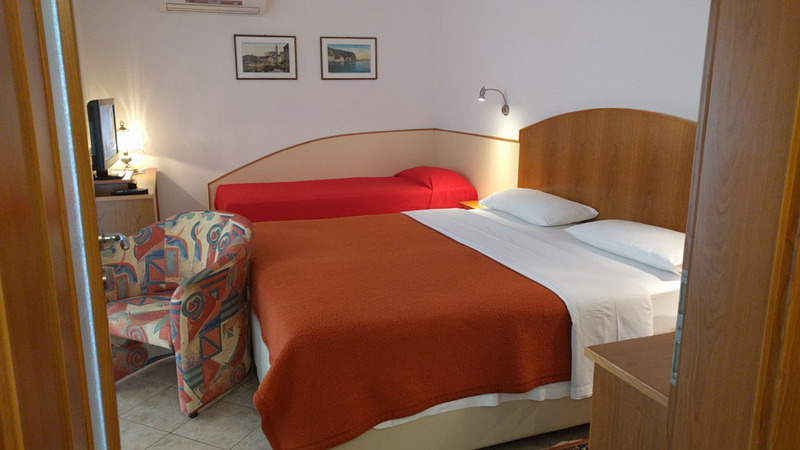 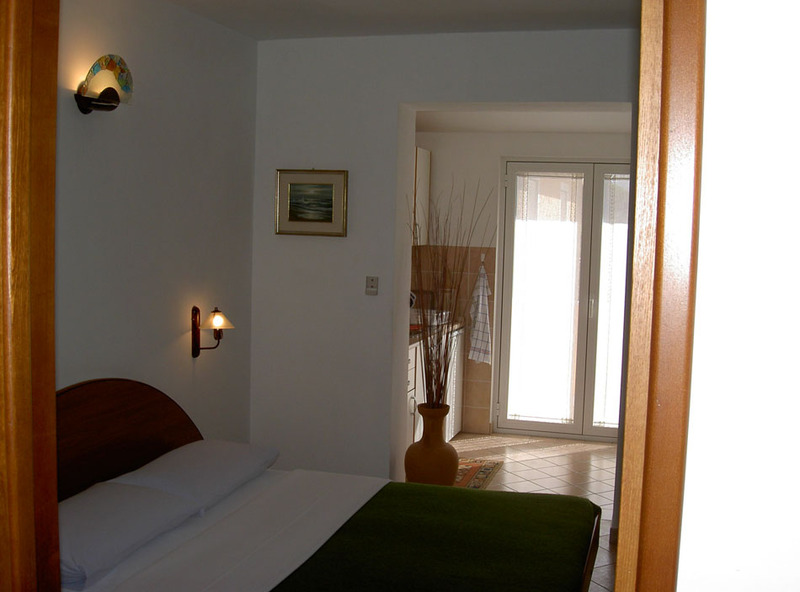 The apartments are are suitable for 2, 3, one for 4-6 people. 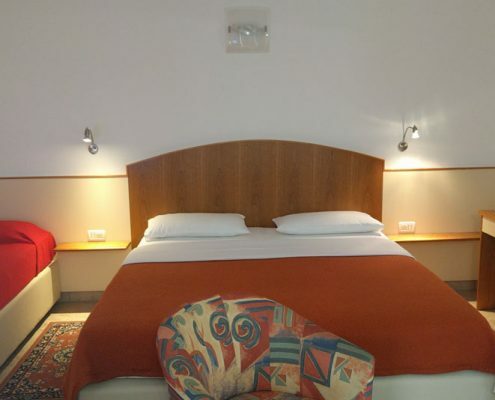 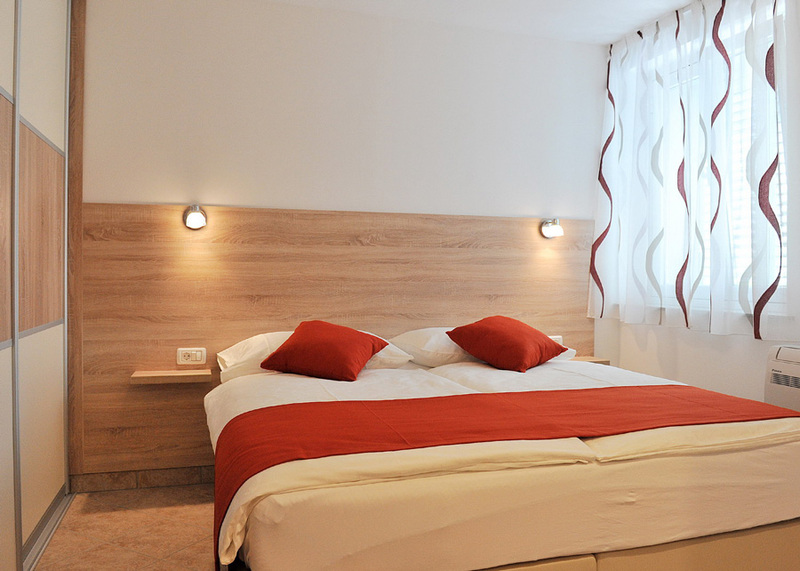 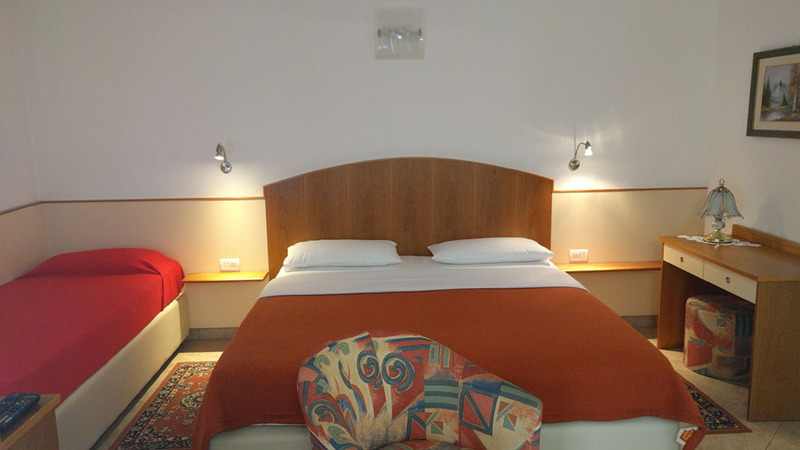 from 38 € / night / 2pers. 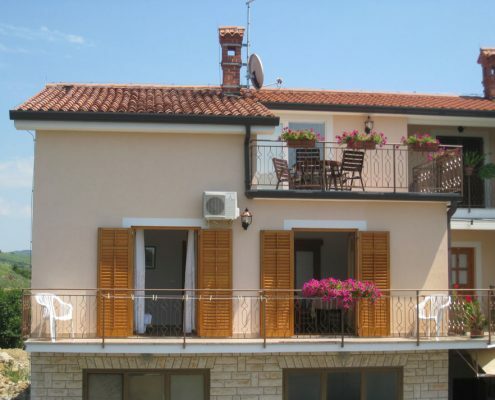 Apartment 1 in the size of 28 m2 is fully furnished and offers a 25 m2 terrace, where you can enjoy the warmth of the sun. 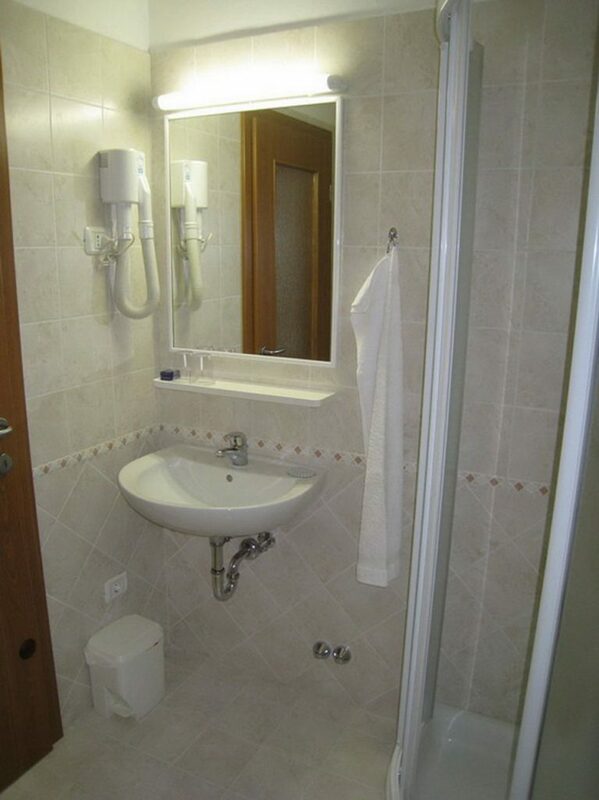 It offers air conditioning, SAT TV, and WiFi. 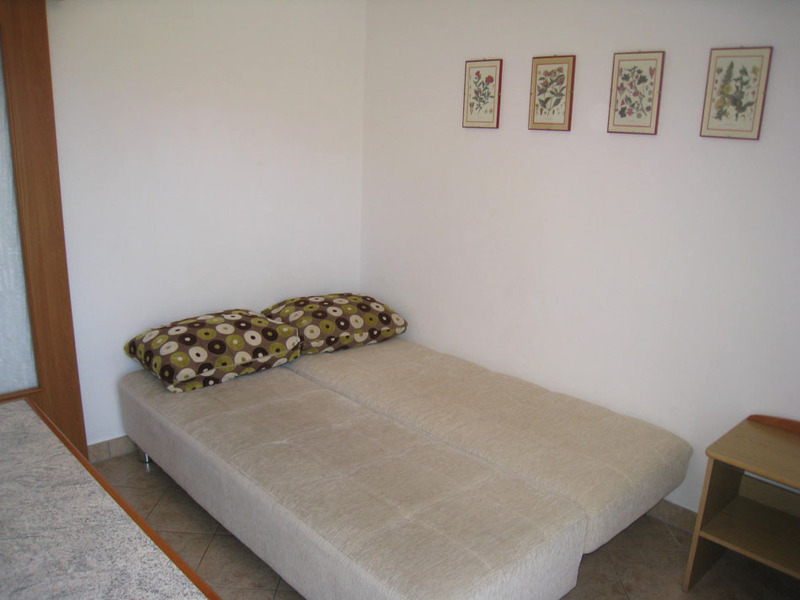 In the kitchen or the living room, there is a couch that can be used as an additional single bed. 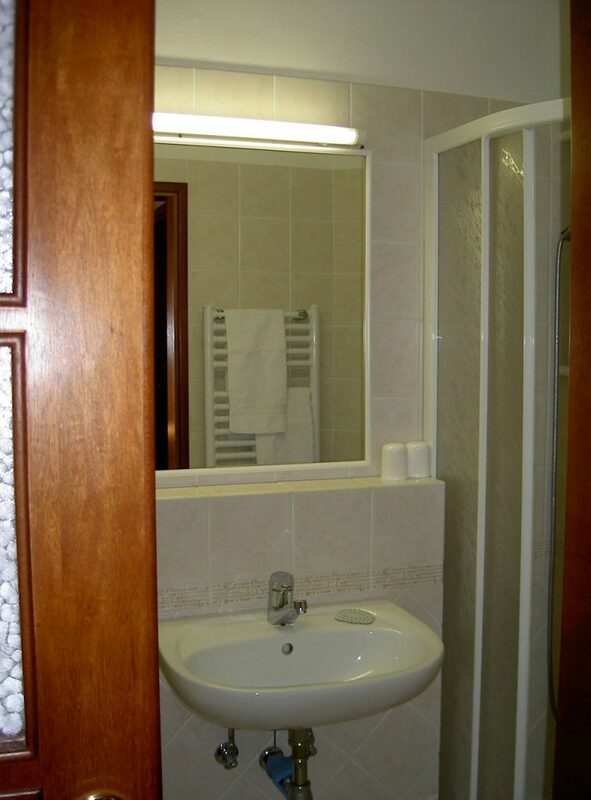 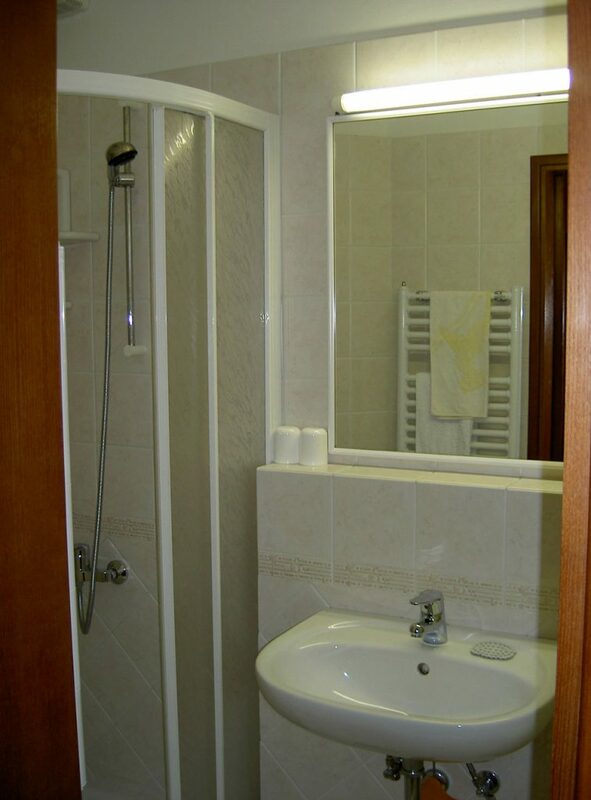 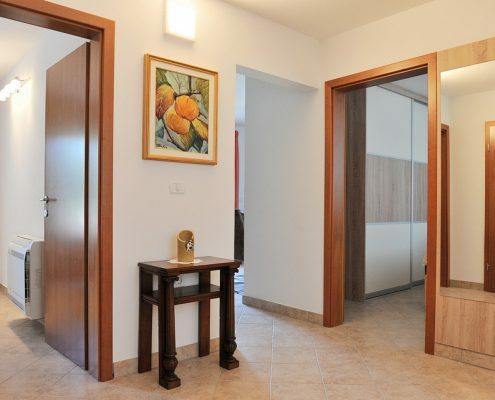 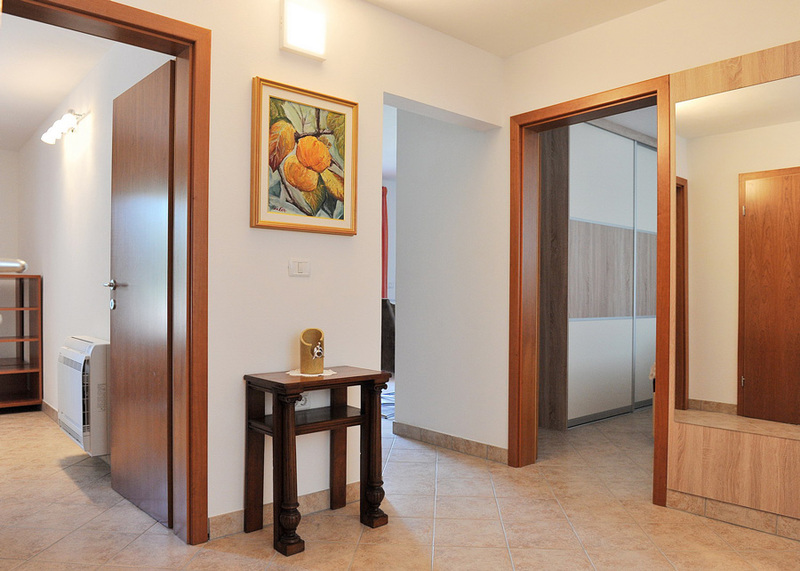 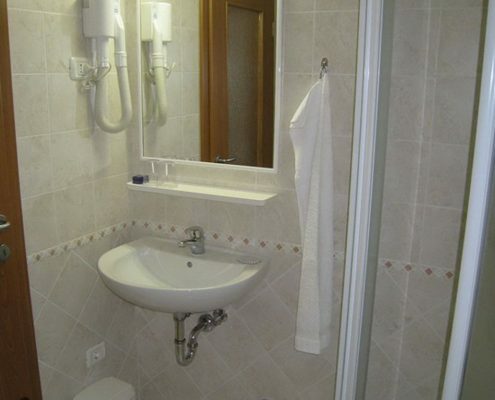 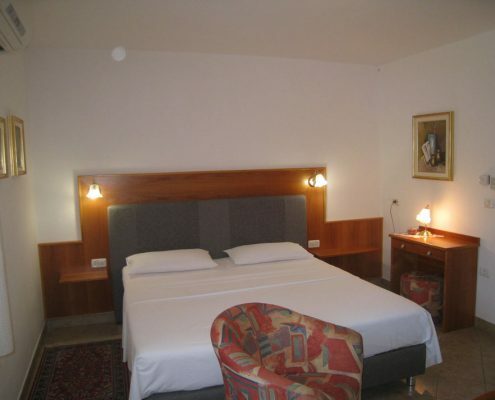 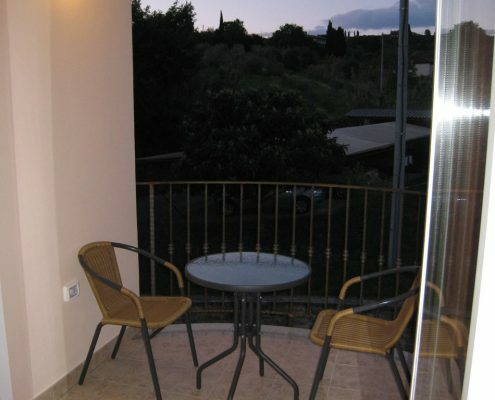 The apartment comprises of: foyer, bathroom with a shower, kitchen or living room, bedroom, terrace. 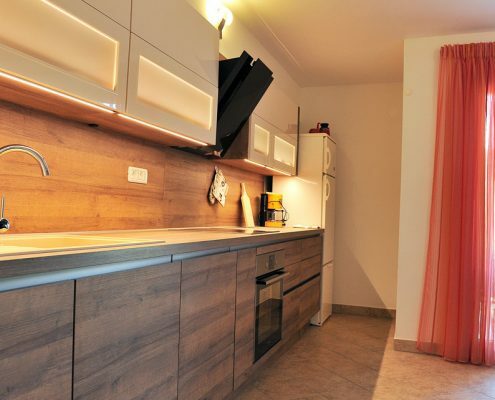 The kitchen offers all the utensils for cooking and serving your own meals and drinks. 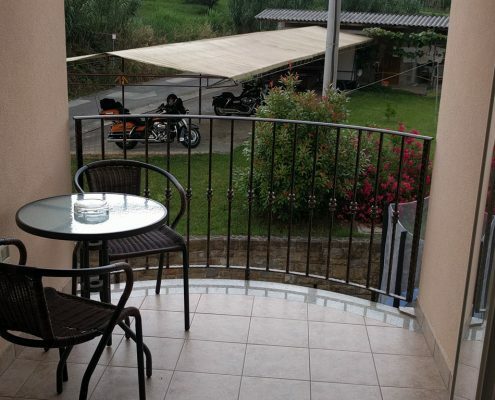 The view is towards the parking lot and the khaki orchard. 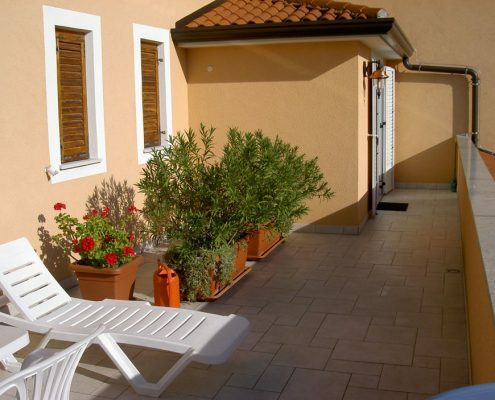 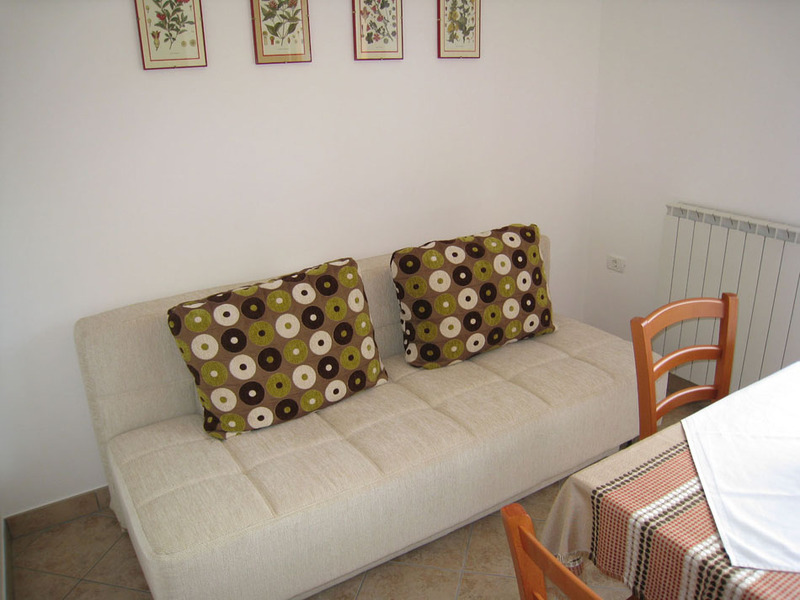 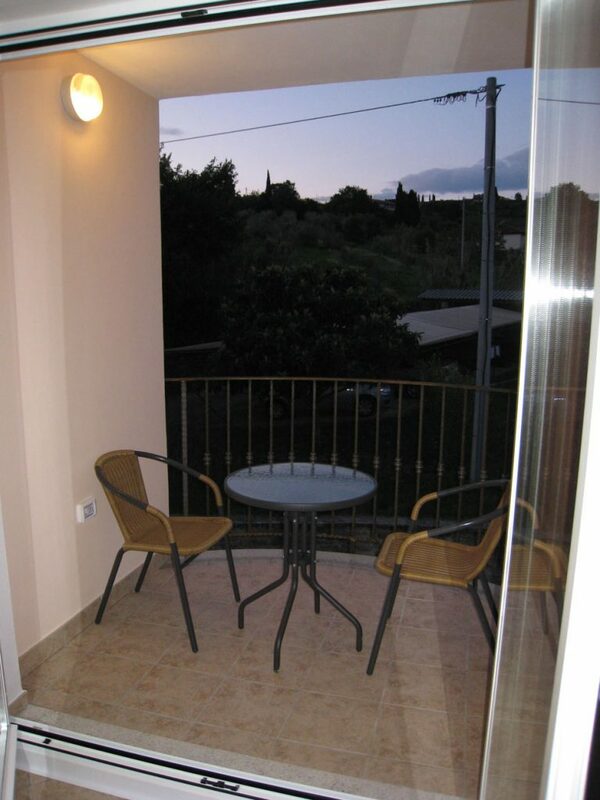 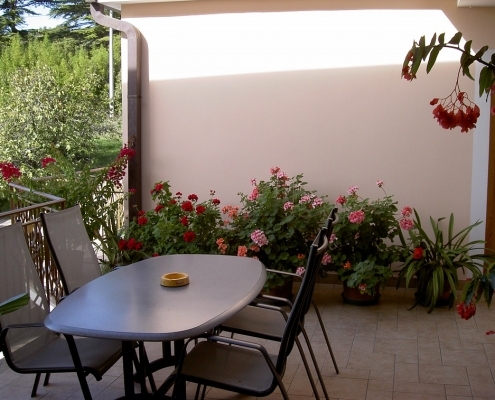 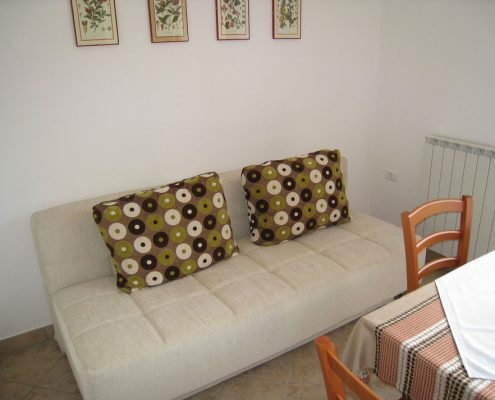 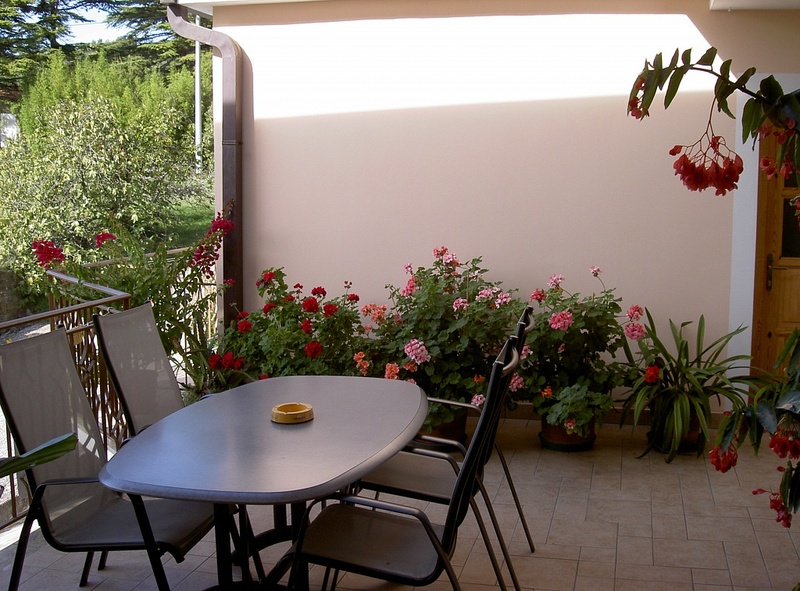 Apartment 2 in the size of 28 m2 is fully furnished and offers a 30 m2 terrace, where you can enjoy the warmth of the sun. 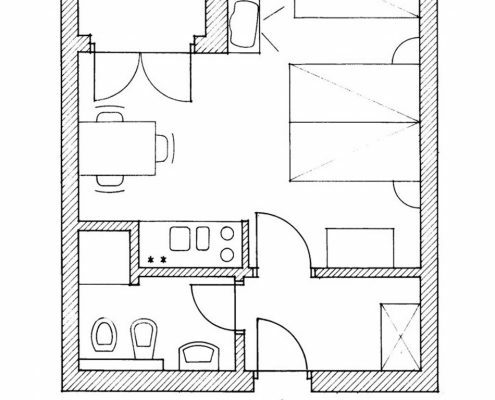 It offers air conditioning, SAT TV, and WiFi. 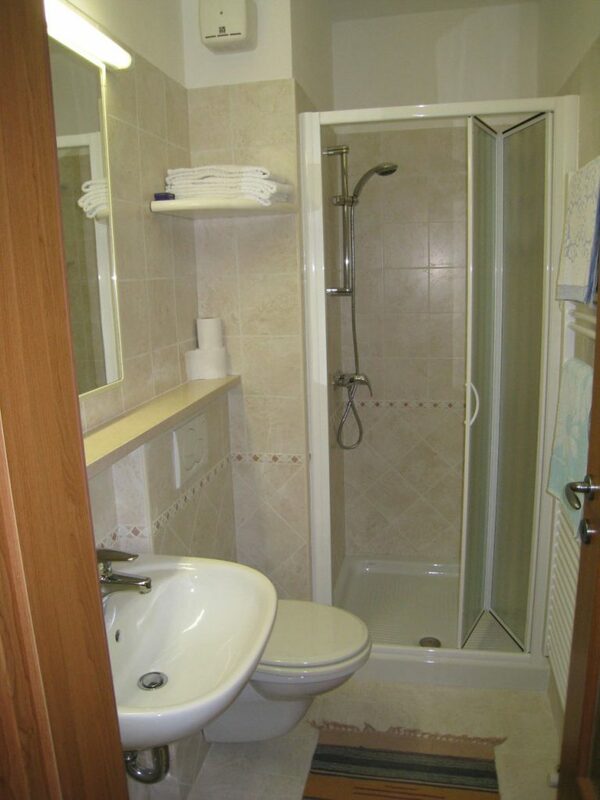 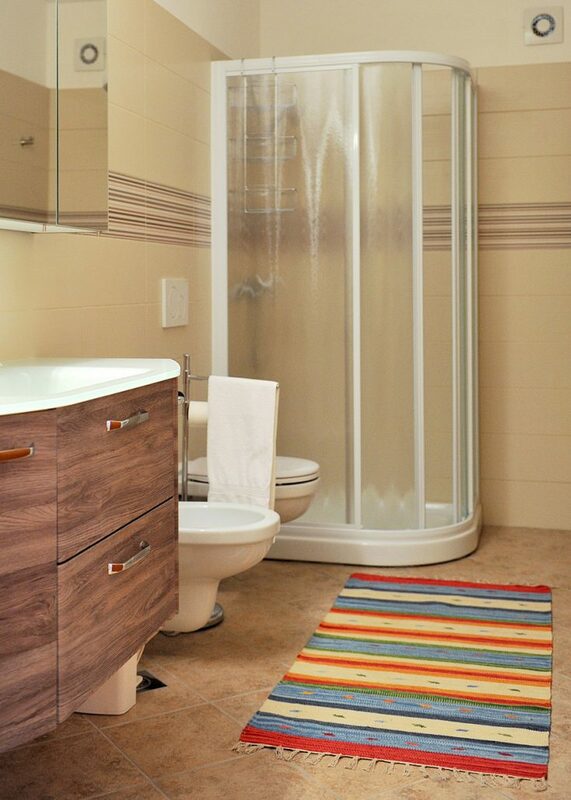 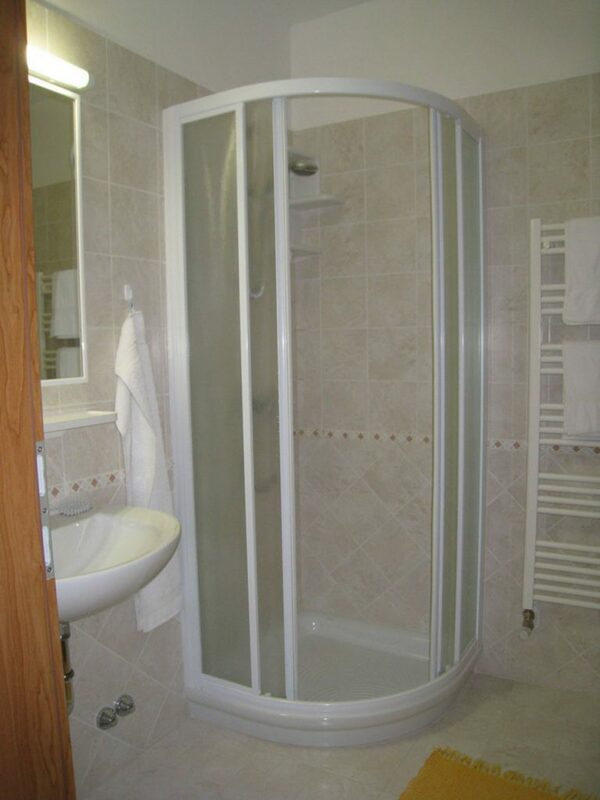 The apartment comprises of: foyer, bathroom with a shower, kitchen, bedroom, terrace. 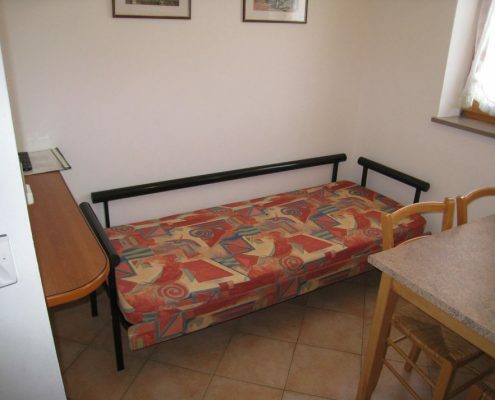 In the bedroom, there is a settee that can be extended and used as an additional single bed. 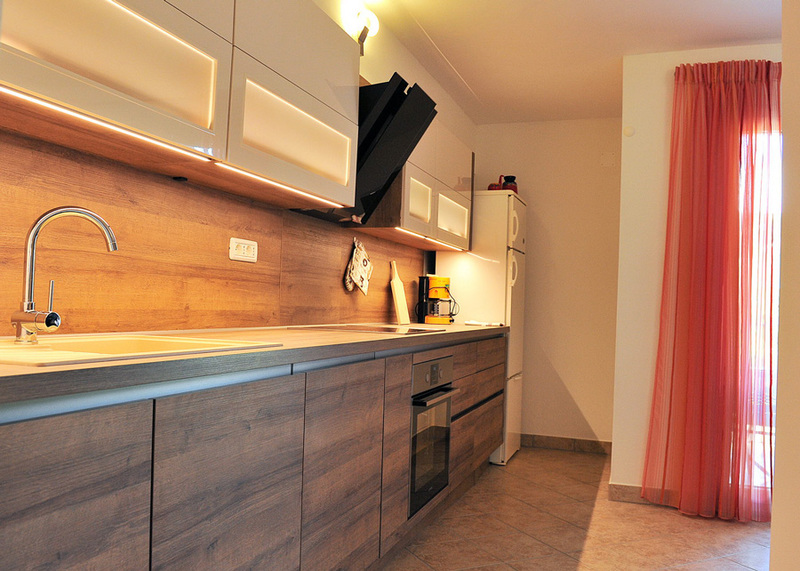 The kitchen offers all the utensils for cooking and serving your own meals and drinks. 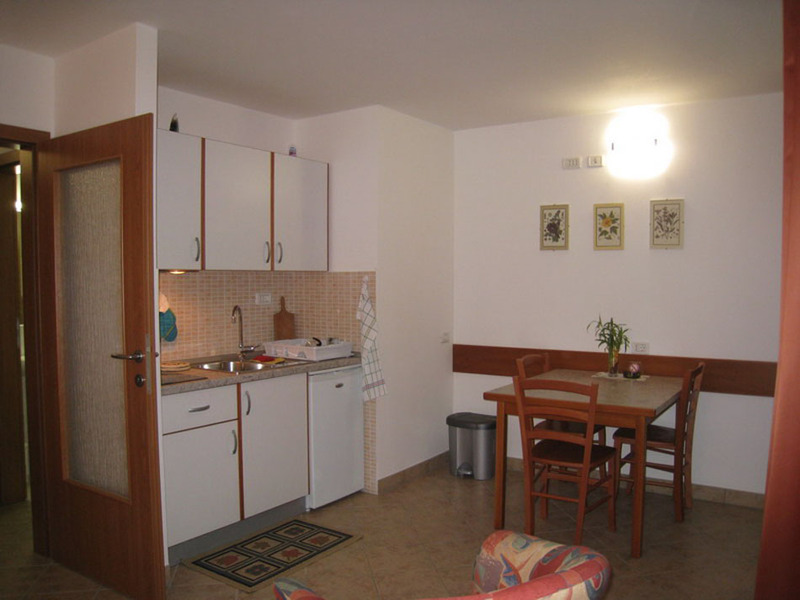 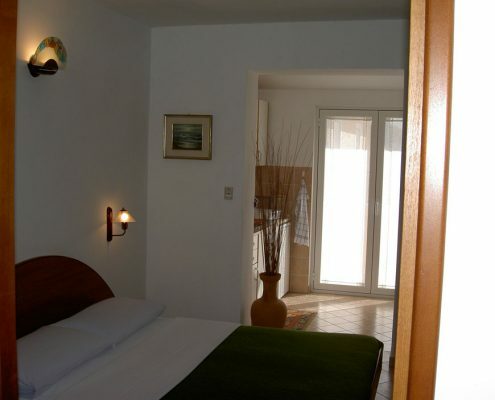 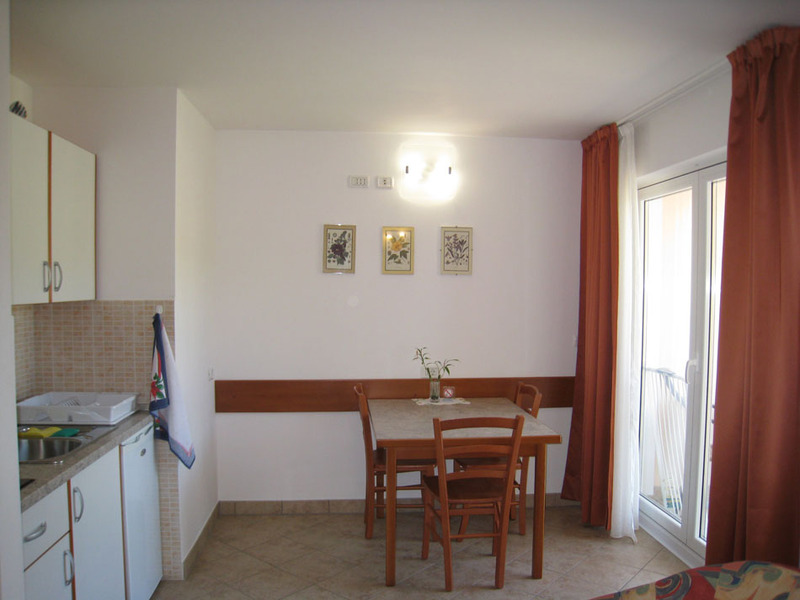 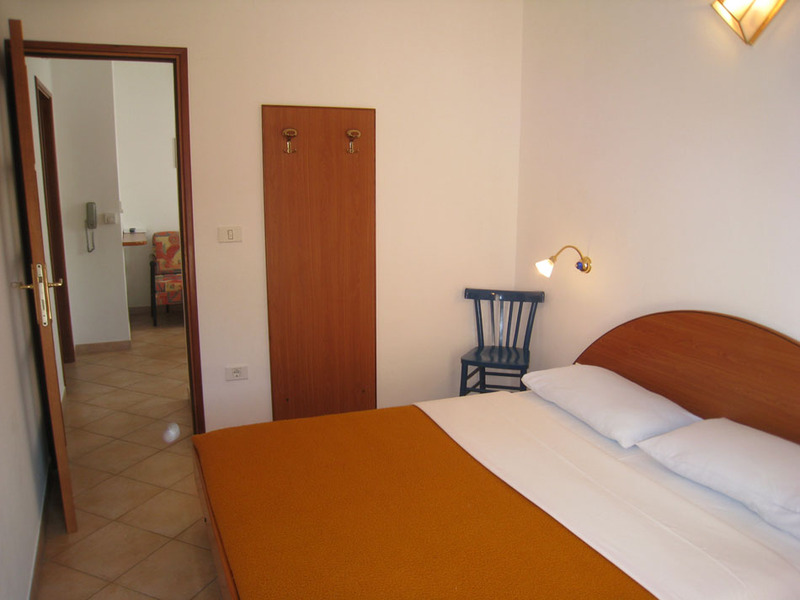 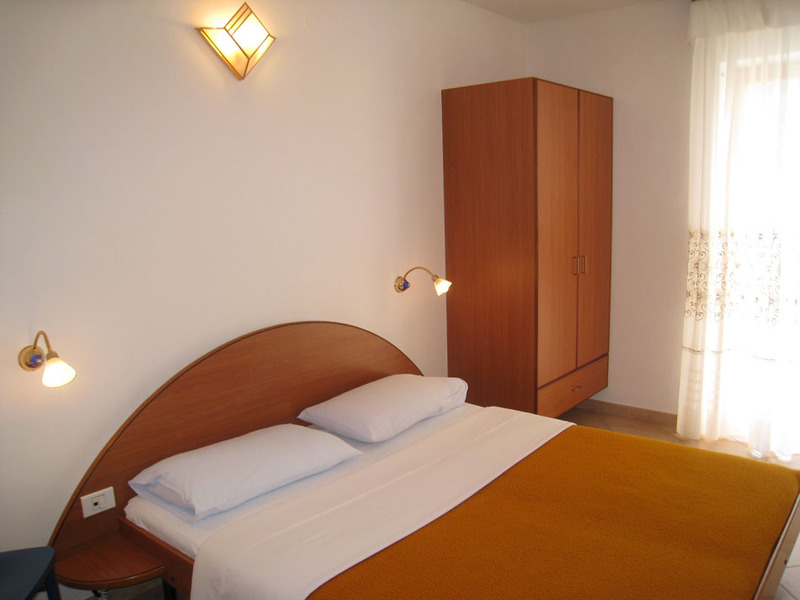 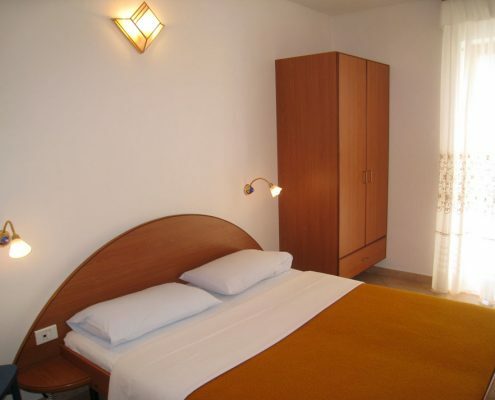 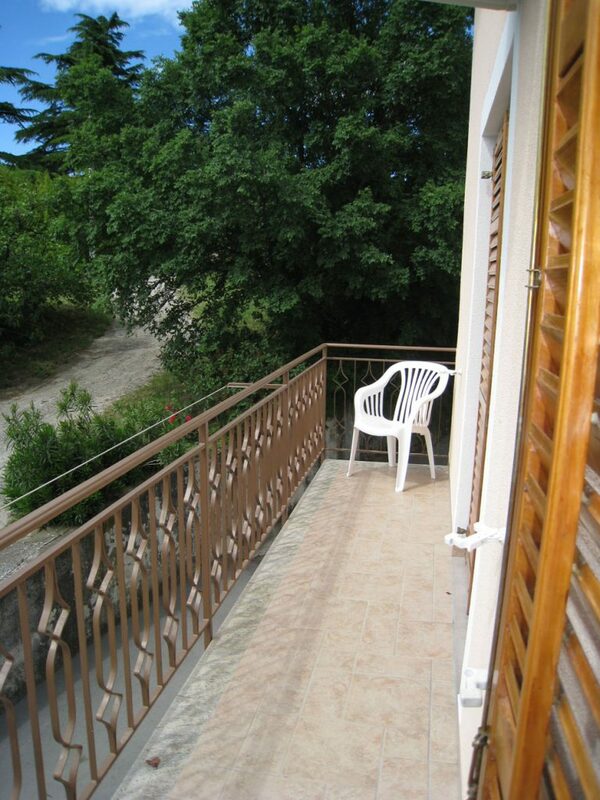 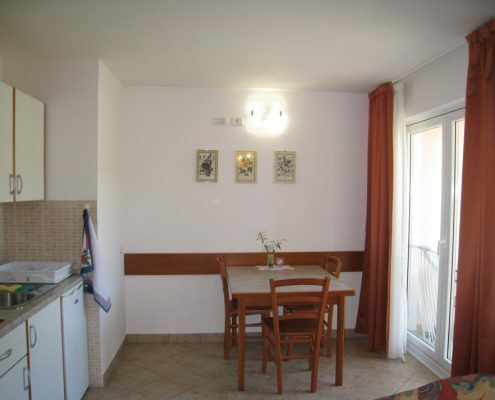 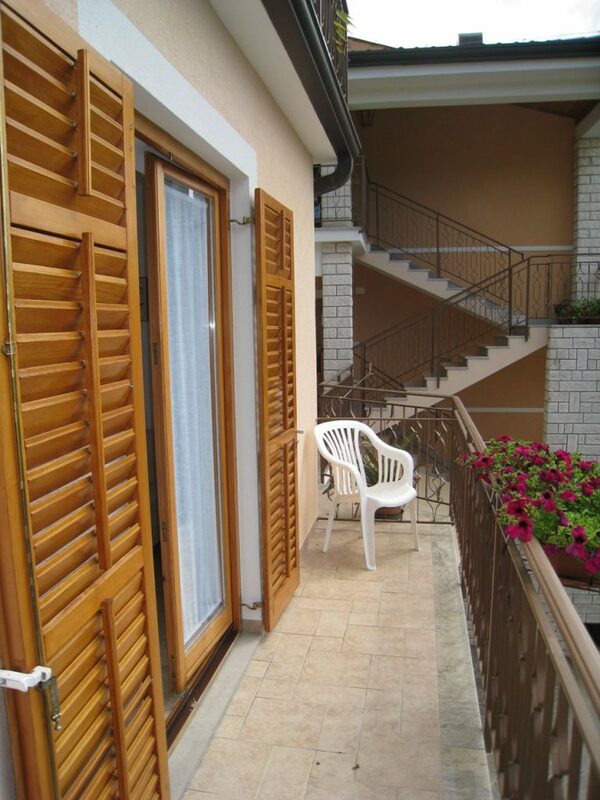 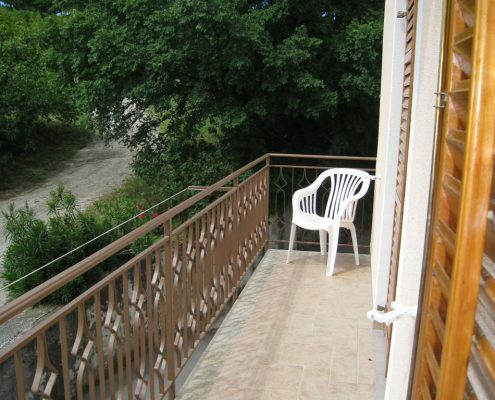 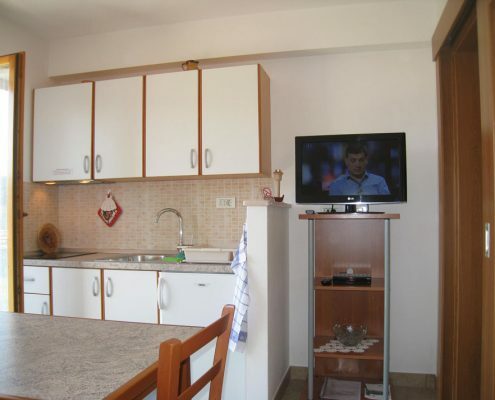 Apartment 3 in the size of 30 m2 is fully furnished and offers an 8 m2 balcony, where you can enjoy the warmth of the sun. 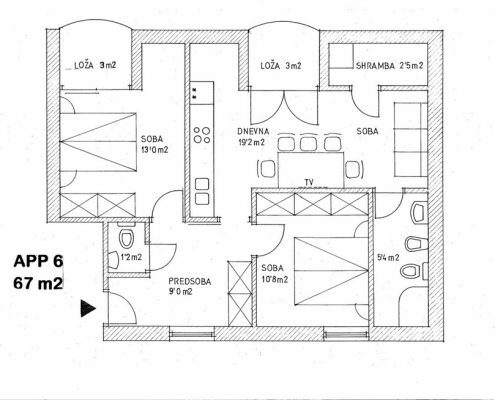 It offers air conditioning, SAT TV, and WiFi. 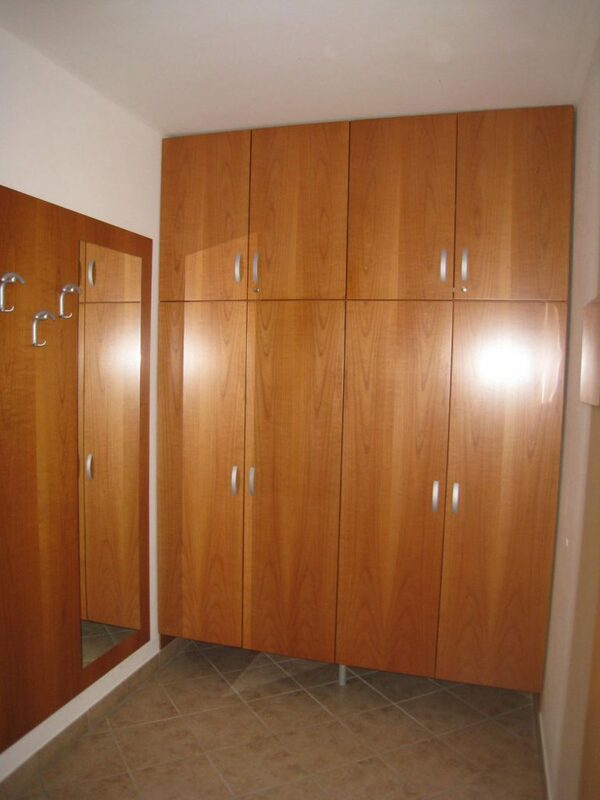 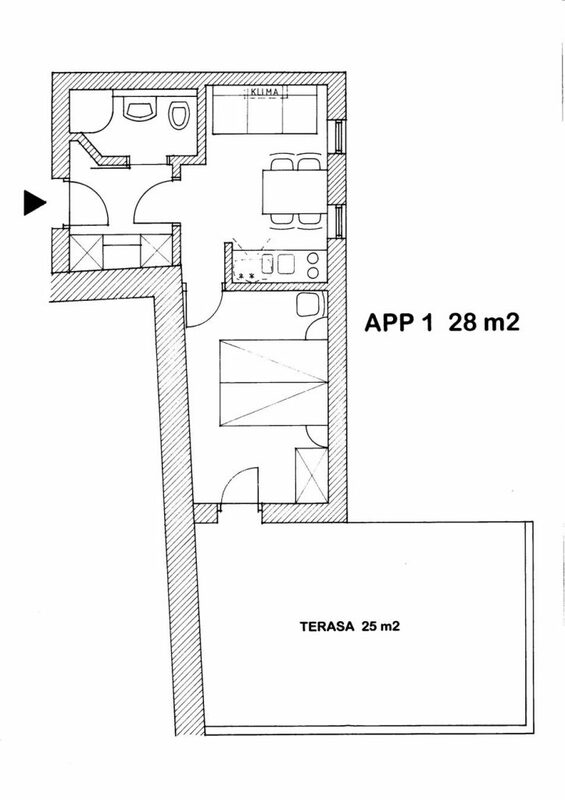 The apartment comprises of: foyer, kitchen or living room, bedroom, balcony, bathroom with a shower. 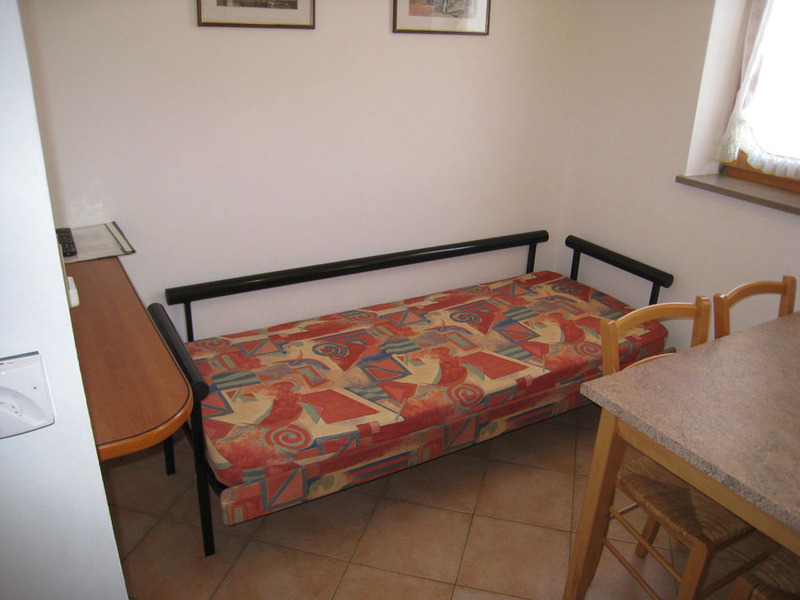 The couch can be used as an additional double bed. 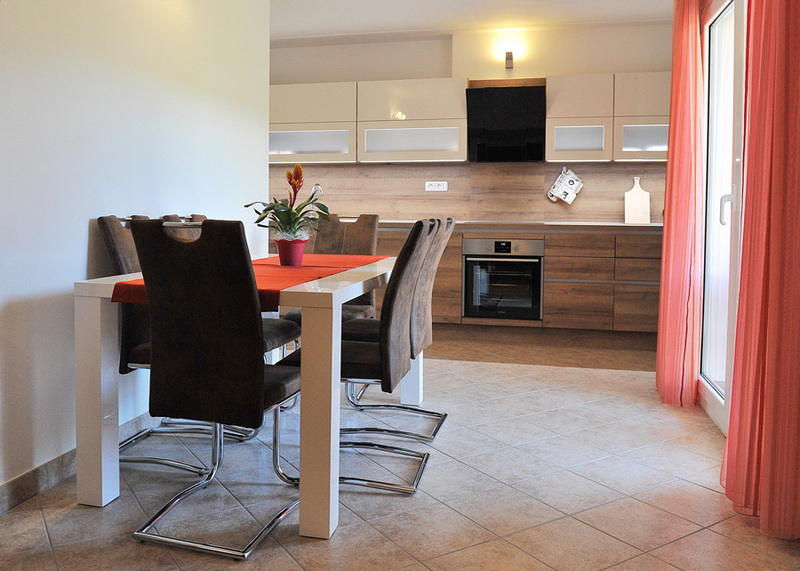 The kitchen offers all the utensils for cooking and serving your own meals and drinks. 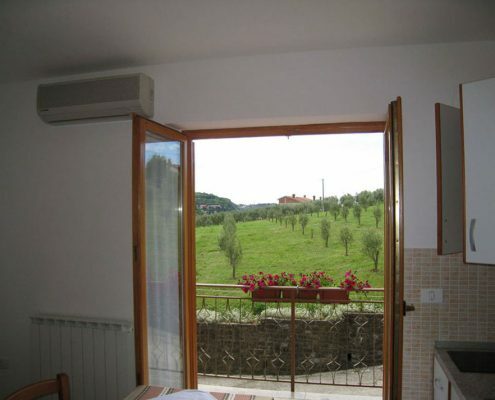 The view is towards the olive garden. 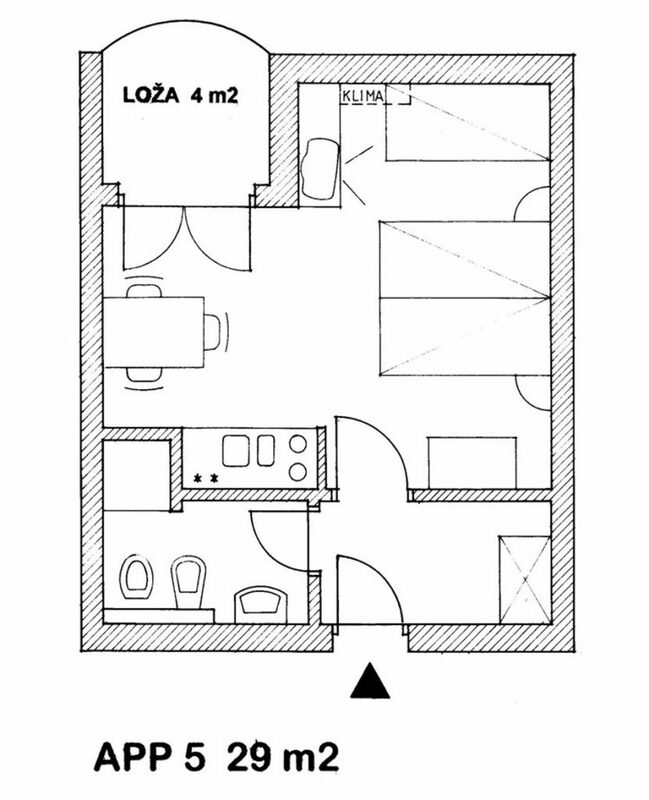 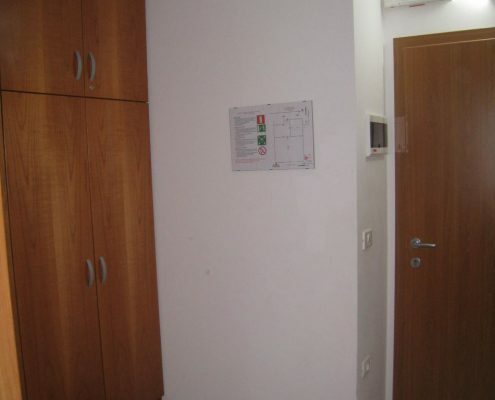 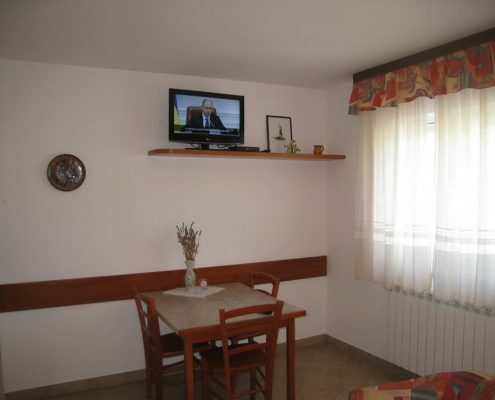 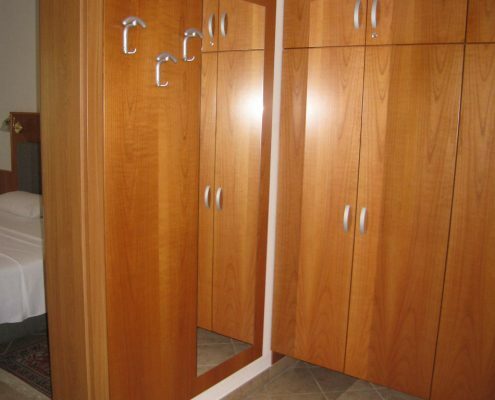 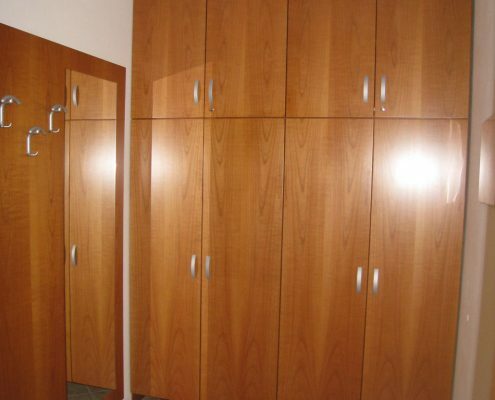 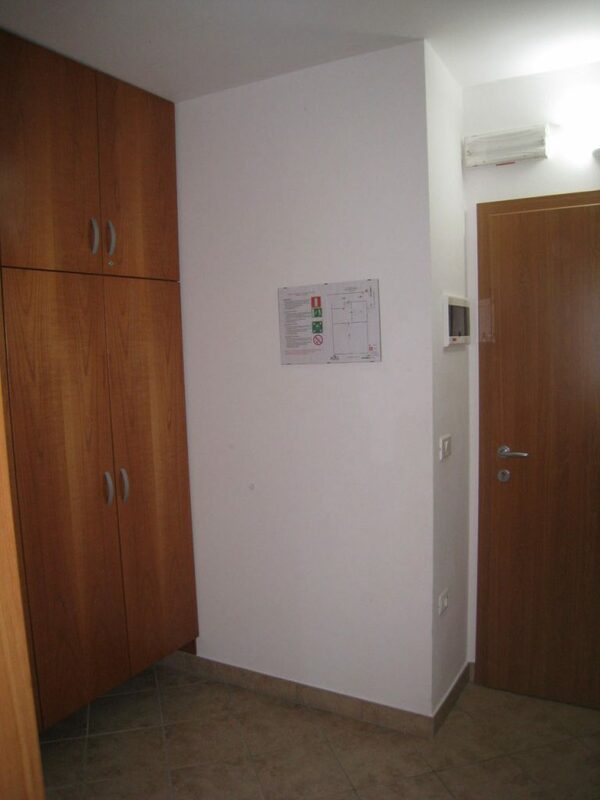 Apartment 4 in the size of 28 m2 is fully furnished. 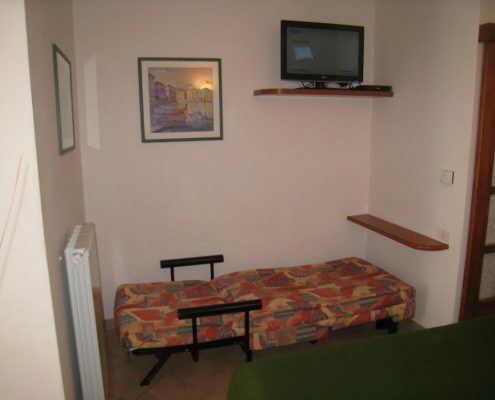 It offers air conditioning, SAT TV, and WiFi. 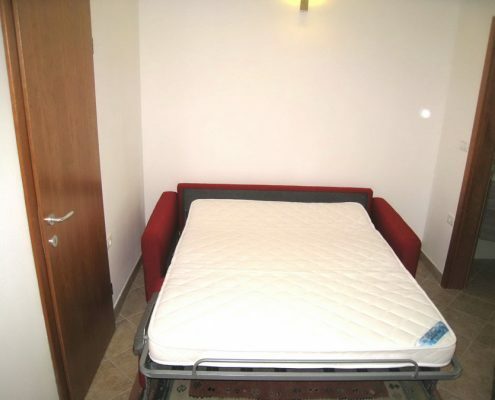 Also an additional bed can be provided. 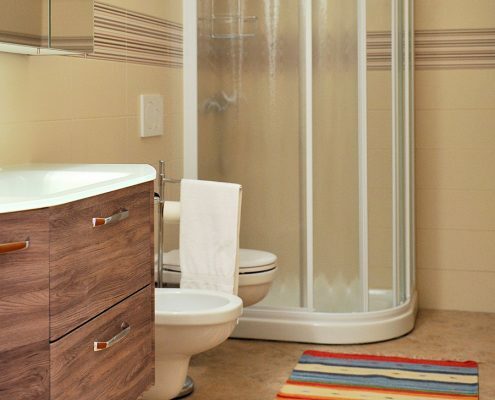 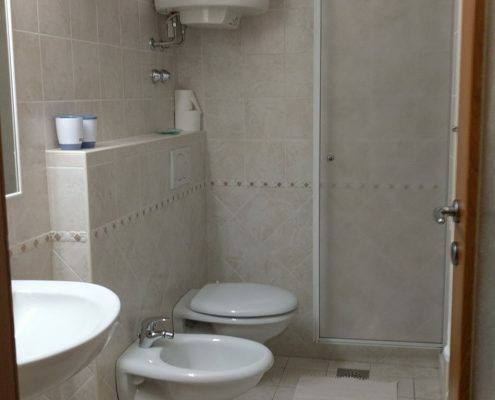 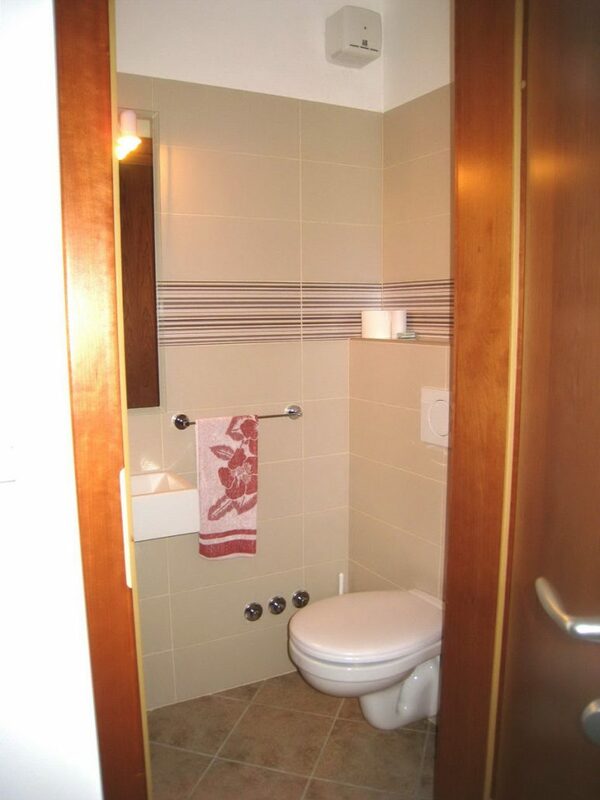 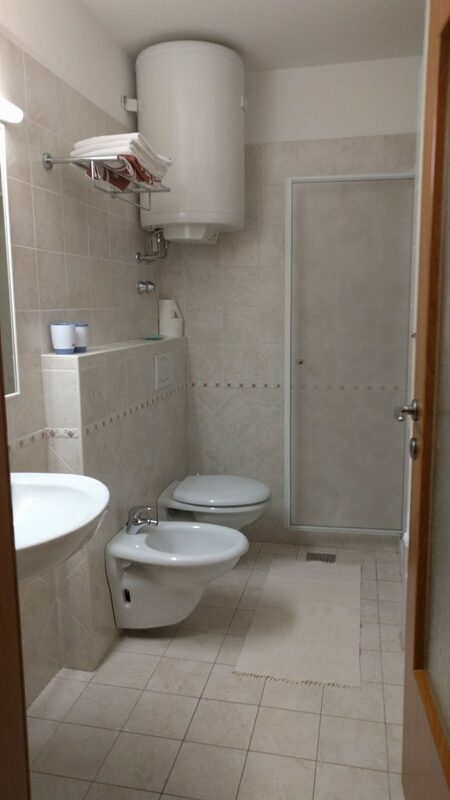 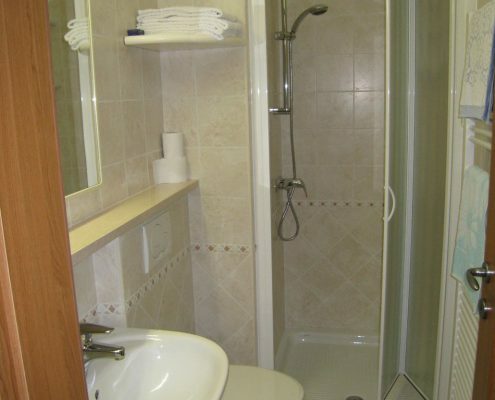 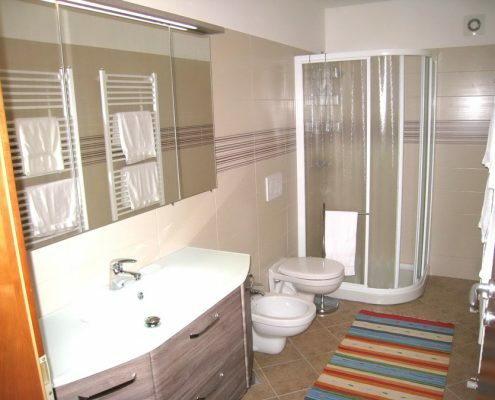 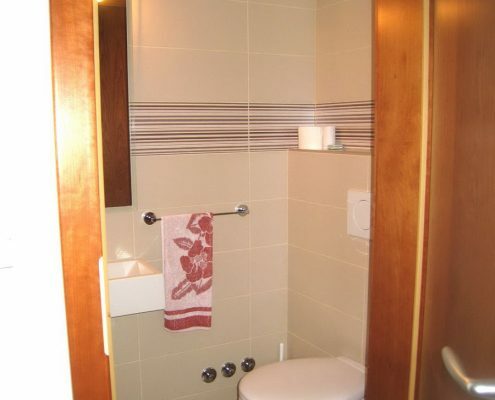 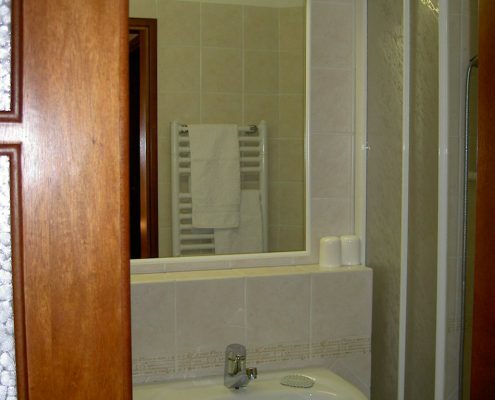 The apartment comprises of: foyer, bathroom with a shower, room with a kitchen and a dining corner. 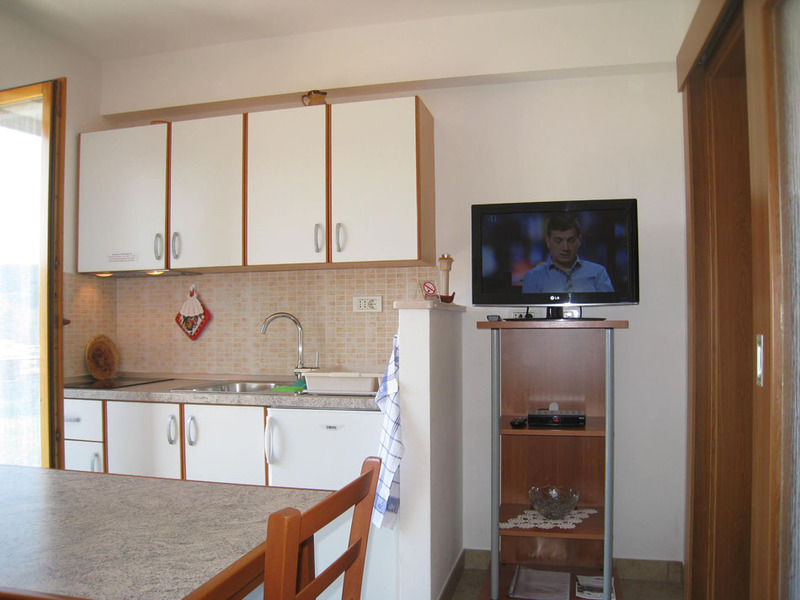 The kitchen offers all the utensils for cooking and serving your own meals and drinks. The view is towards the house garden. 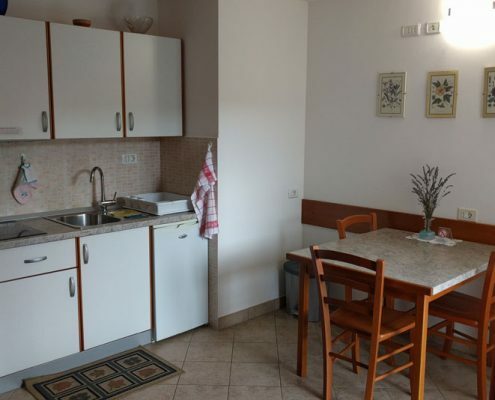 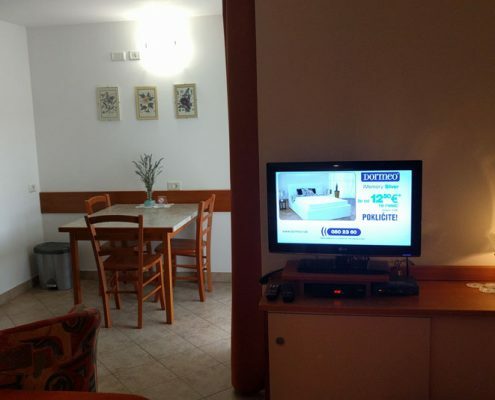 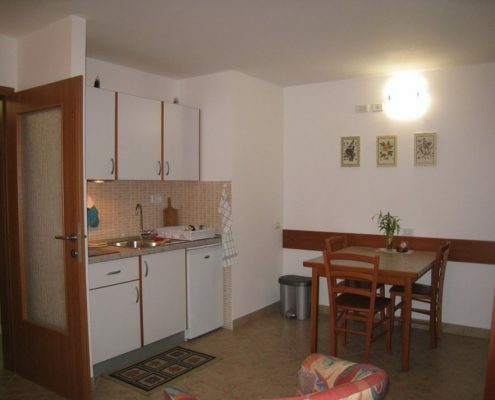 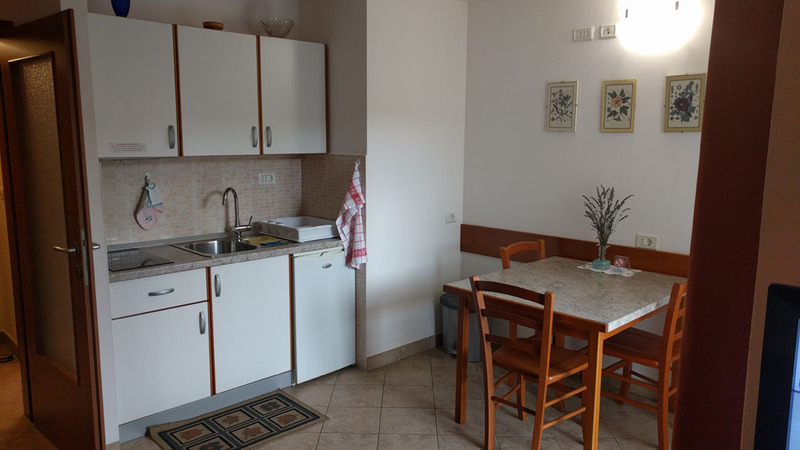 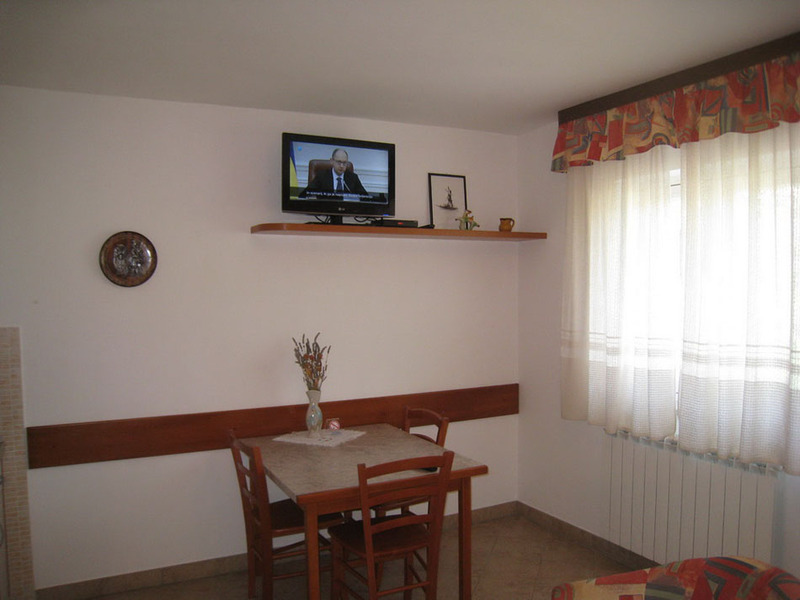 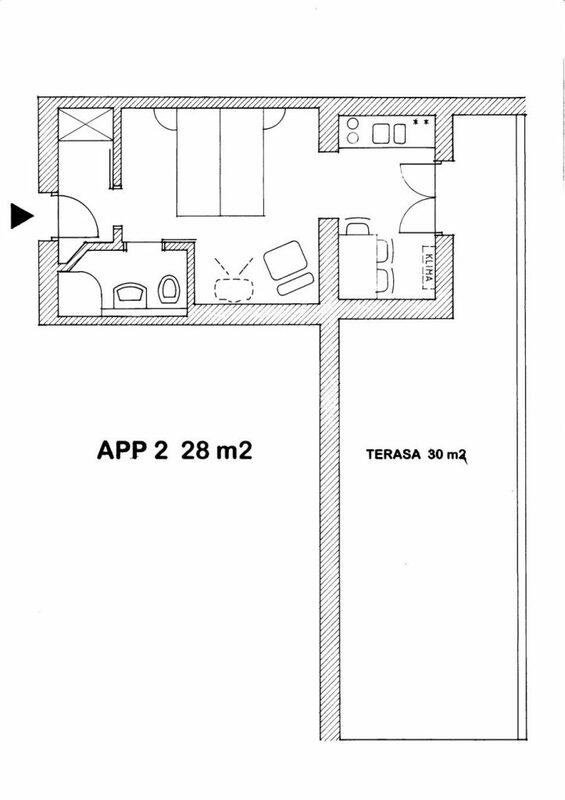 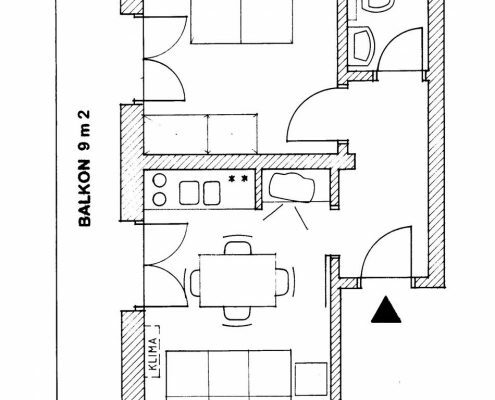 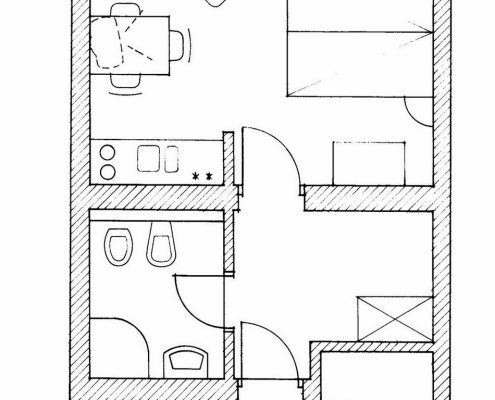 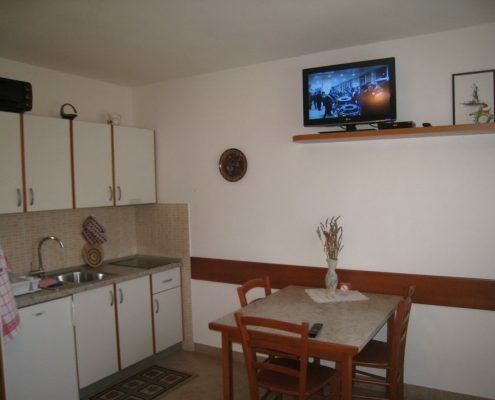 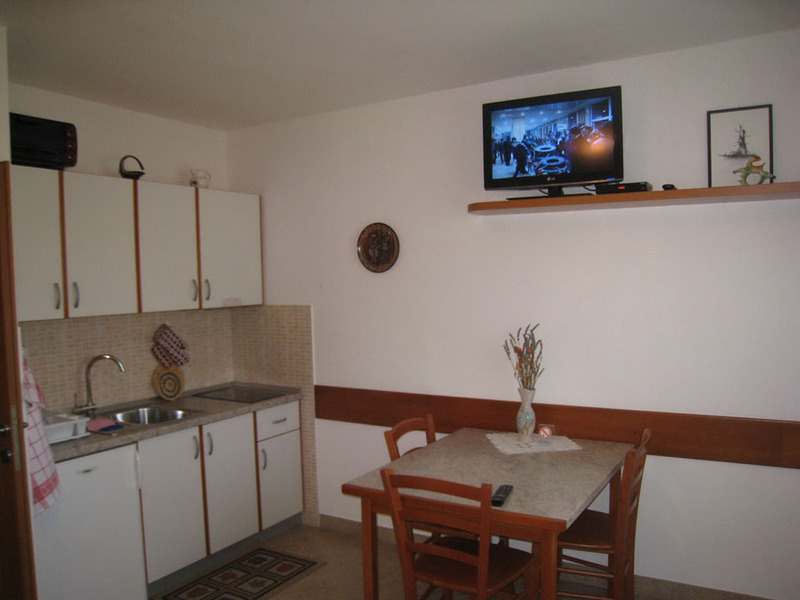 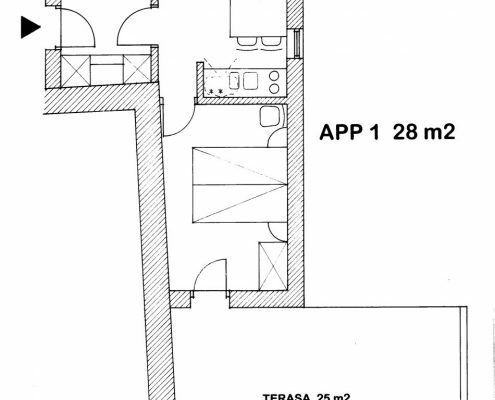 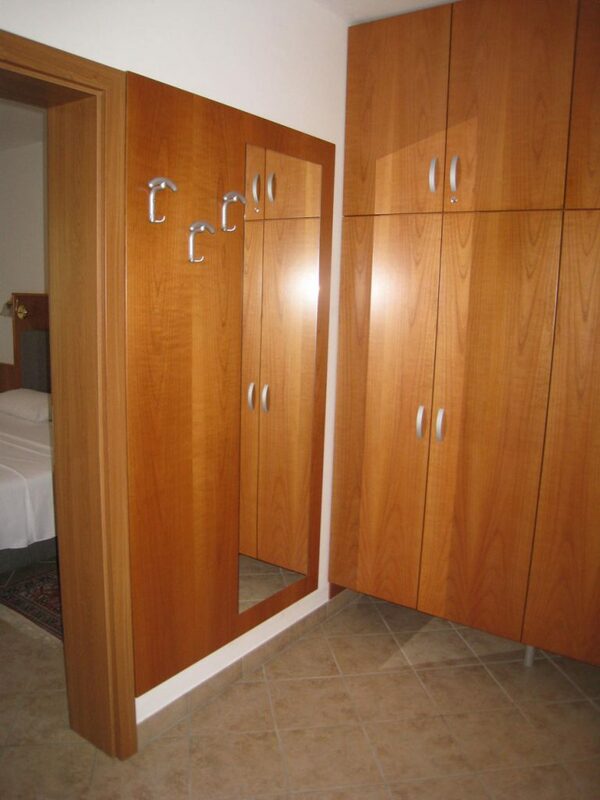 Apartment 5 in the size of 29 m2 is fully furnished. 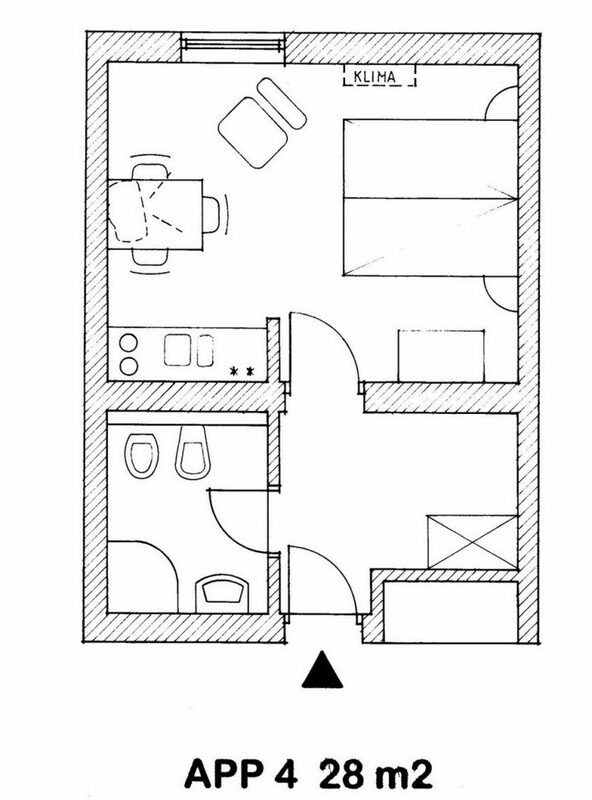 It offers air conditioning, SAT TV, and WiFi. 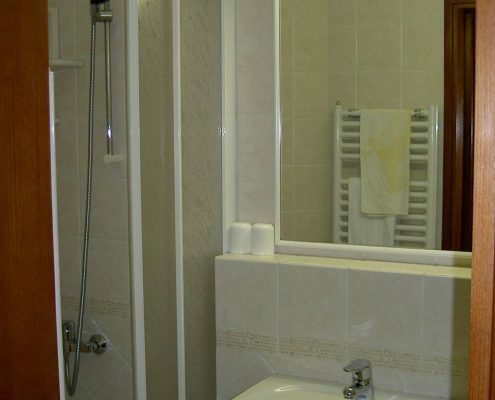 The apartment comprises of: foyer, bathroom with a shower, room with a kitchen and a dining corner as well as a 4 m2patio. 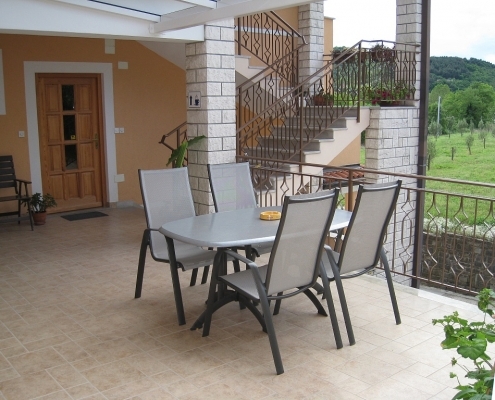 The patio is perfect for your morning coffee or breakfast in a nicely cool atmosphere. 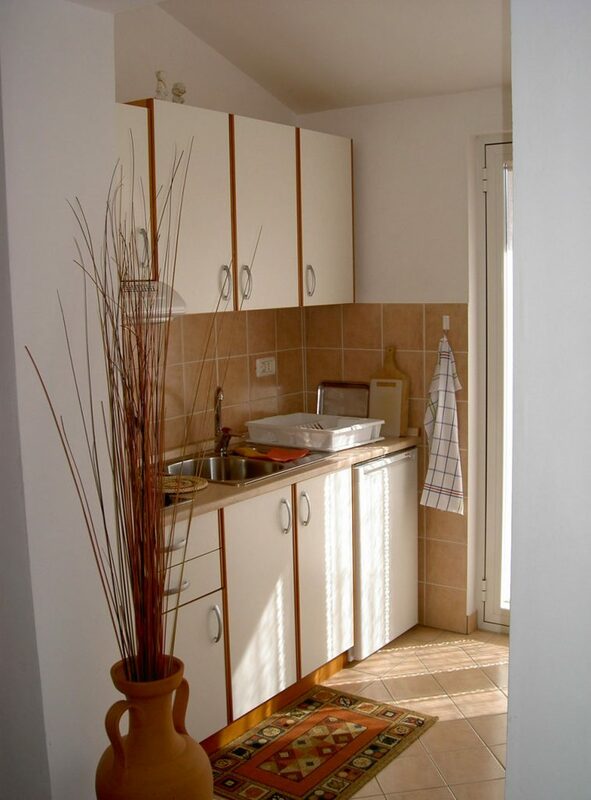 The kitchen offers all the utensils for cooking and serving your own meals and drinks. 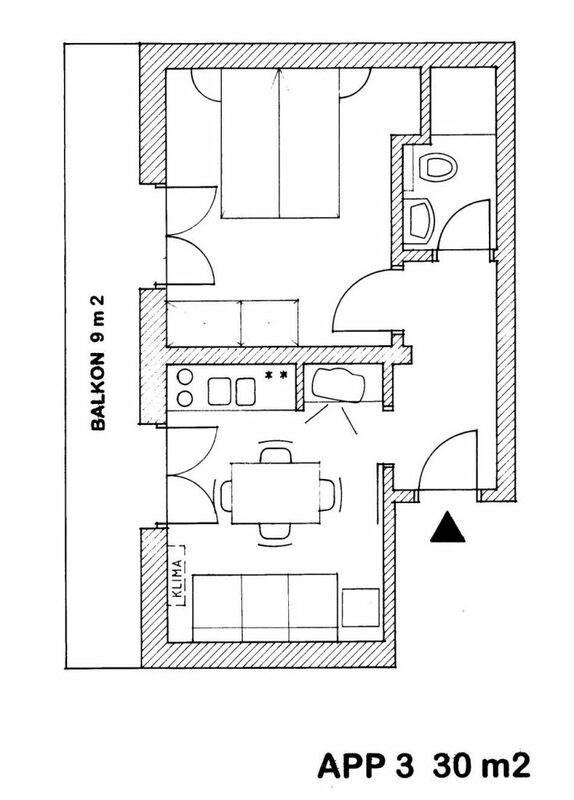 The bedroom offers three beds. 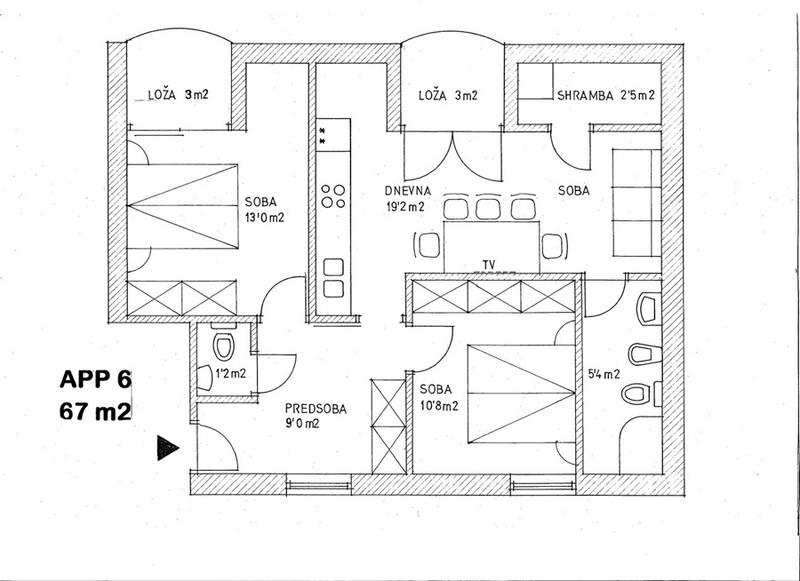 The flat is 67 m2 in size. 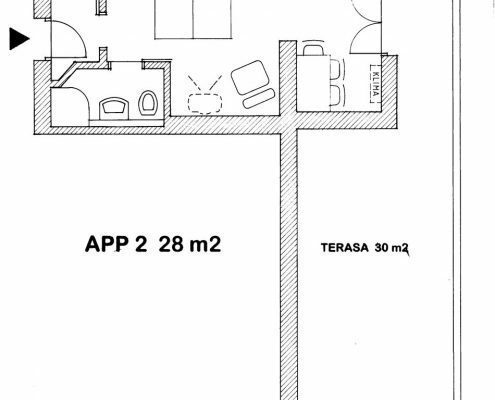 It offers air conditioning, SAT TV, and WiFi. 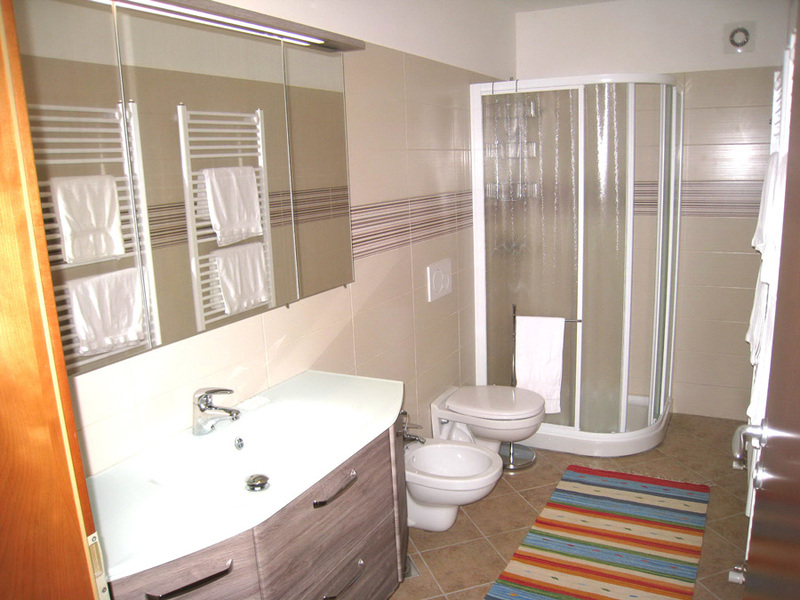 It comprises of: foyer, WC, 2 bedrooms, kitchen with a living room, bathroom with a shower, storage room and 2 patios, each 3 m2 of size. 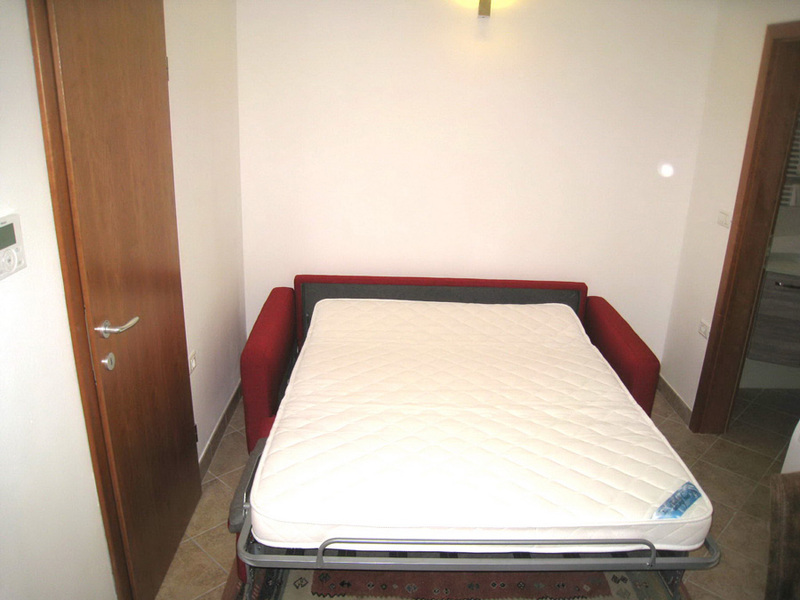 The living room offers a couch that can be extended into a double bed. 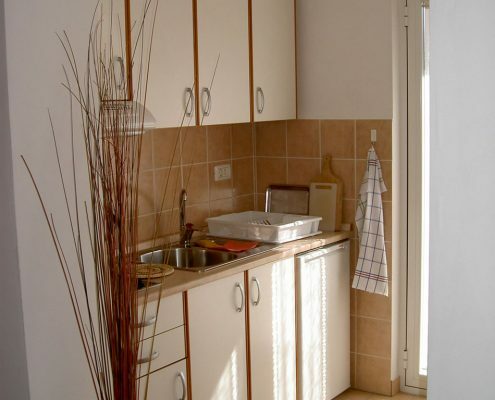 The kitchen offers all the utensils for cooking and serving your own meals and drinks. 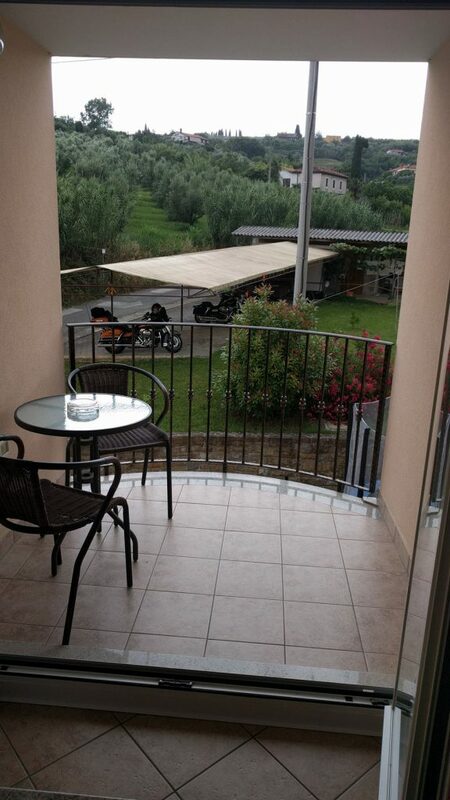 The view is towards the house garden, parking lot and the khaki orchard.